John Hilly wrote: Hello and thanks, Nigel! It would sound better if you offset “Lyhytaikaisuus Koodi Terminologia” as "Lyhyyskoodi terminologia". Also “Havaita-Punnita-Ratkaisu-Taistelu " is contradictory. Better if the phrase being imperative: "Hahttp://forum.axishistory.com/posting.php?mode=quote&f=59&p=1649274#vaitse-Punnitse-Ratkaise-Taistele!" "Havaitse-Punnitse-Ratkaise-Taistele!" ~ "Observe-Weigh (or Consider)-Decide-Fight!" Isn't this beautiful! But it is not my fault that I was born with this impossible language. "Lyhyyskooditerminologia" ( LyTe) is a single compound word. Or "Lyhyyskoodien terminologia" - use genetive if you want two words. And if I get the meaning right shouldn't it rather be koodilyhenneterminologia or pikakooditerminologia. ? But IMO it does not really sound military, or 40's , to use words "koodi" and "terminologia" in this context. Maybe something like "viestilyhennesanasto" (ViLSsto) - glossary of communications abbreviations. ? Or "pikasanomasto" (PSasto) - library of stenographic messages (quick message collection) ? Or perhaps just "lyhytsanomat" (LSat) - The Brief Messages ? Whoooa. I struggled just to get it into Finnish at all. As far as appropriate 1940's terminology goes, I'm more than happy to take advice. "lyhytsanomat" (LSat) - The Brief Messages - sounds good to me. I think "viestilyhennesanasto" might be confused with overall military signals abbreviations, of which there were many, and I was looking for something specific to airforce R/T use in combat. Ok, this is a wee bit off-topic but I know there's a few people reading this that don't usually read the contents of the Winter War and Continuation War forum. So for you guys, there's a new e-book out you may want to take a look at. Haven't read it myself, but just saw it, took a look and I love the whole concept of a multi-media book like this (can't think why... ). It's written in English, altho it also says that the text has been translated directly from the contents of the original best-selling book in Finnish. Called "Frozen Hell" but it's not Trotters book, it's by a Finnish author, Mika Kulju, and it focuses on the legendary Battle of Raate Road, providing a step by step account of the fighting. At 11 euro's its pretty reasonable, just have to have an iPad to read it with, altho I guess one could download iTunes for ones Laptop or PC. Kinda like the idea of eventually doing something like that with the contents of this thread once it's finished, altho there'd be a hell of a lot of work to edit and get permissions from everyone + as well as for the photos and video clips and songs. Be fun tho. CanKiwi2 wrote: In the Winter War itself, Finnish long-range patrols operated some 60-200 miles inside enemy territory in the initial months of the war, anywhere between the Arctic, the White Sea and Lake Laatokka. Later in the Winter War they would come to operate deep inside the USSR, even as far as Archangel. The Recconaisance Patrols were usually inserted by aircraft deep behind enemy lines, and tasked with observation and transmission of information on movements along key rail-links and with monitoring Soveiet airbases. The Finnish Radio Intelligence Battalion in turn monitored Soviet radio transmissions and passed on information to the patrols regarding enemy counter-measures. This in turn played a considerable role in the small casualities of Finnish patrols. Hi. Also in alternate history long range patrols could not be planted or retreaved with aircraft during winters. Heavy aircraft (that could carry winter sized ** patrols with 1 plane or maybe 2) could not reliably operate on unprepared deep snow covered landing sites, even if equipped with landing skis. Parachuting was not extensively used in real timeline, but it has very serious problems and risks, as terrain is mostly deep forest. Far too great risks of broken bones on landing. On the summer altogether different matter: Rear areas of Soviets were littered with hundreds after hundreds of quiet lakes where airplane like Heinkel He-115 could land for entry/wounded evacuation/retreaval of patrol. ** Winter time patrols needed more "muscle" than summer patrols. There had to bee enough fresh men to open the ski track to untouched snow to maintain speed above their pursuers. About dozen men minimum, even for patrol solely with recce mission. In winter patrols, constant pursue from enemy for whole duration of patrol was also the norm, as ski tracks could not be hidden. Speed and mining the ski-tracks kept patrols alive. Patrol duration and penetration was also more limited in winters, by sheer physical exhaustion, as opportunities for solid rest could not be counted on. Great, just simply great. Your imagination is splendid! John Hilly wrote: Great, just simply great. Your imagination is splendid! Just what had Tigerstedt been working on between 1925 and 1935? Prior to his involvement with the Ilmavaoimat Radio Project, Tigerstedt had been working for some years on a series of research projects in the fields of Radio and aspects of Cinematography. At this stage in his career Tigerstedt was not famous, but he WAS well-known in his field. You will no doubt recall that Tigerstedt was the first person to implement a working sound-on-film technology, and in the process, he made significant improvements to the amplification properties of the vacuum valve – discoveries which by themselves ensured he was known by other “experts” in this field of science. Prior to WWI, Tigerstedt had also worked on developing the electrophtalmoscope. The prototype consisted of vibrating mirrors in both the sending and receiving ends, using the photoelectric properties of a selenium element at the sender, and a light source at the receiving end which was modulated using a Faraday-device. The received picture was supposed to be displayed on a movie screen. Two electrophtalmoscopes were built, and an experiment was conducted using a cable running from London to Berlin. Tigerstedt arranged several demonstration events and at this time first gained his reputation as a knowleadgable scientist. 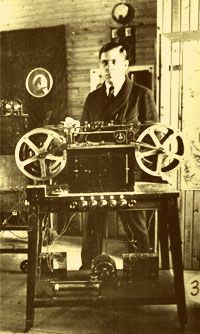 Tigerstedt had also experimented with transmitting spoken sound using 30 kHz ultrasound which he attempted to transmit across the Jutland straits. The results at the time however, were not promising. He also experimented with transmitting sound under water, which was more successful, and he was eventually granted a patent for this process. All of these ould be the basis for further experiments and developments in the 1930’s, as we will see. While in the USA, Tigerstedt had also had the opportunity to meet with the great American inventor Thomas Edison, who wrote a letter of recommendation for Tigerstedt to the Director of the US Department of Commerce. Tigerstedt’s return to Finland in late 1925 or early 1926 (there is little documentation regarding this period of his life and details are somewhat vague) was interrupted by a stay of some two to three months in the UK. It was at this time that he apparently first made the acquaintance of John Logie Baird, another and perhaps no rather more well-known inventor with a similarly strong interest in the field of cinema, radio technology and the transmission of moving images by wireless. 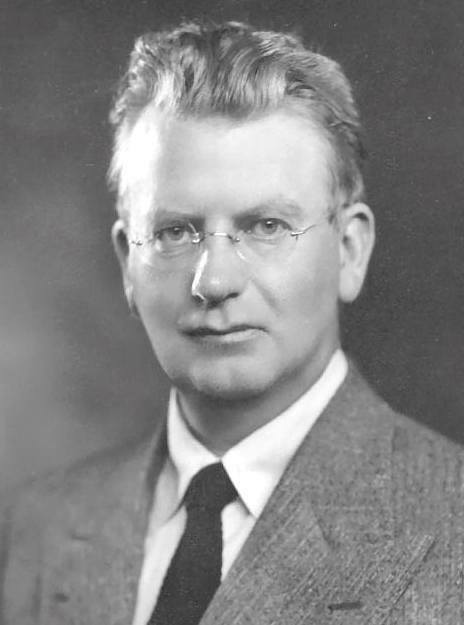 John Logie Baird, the Scottish inventor and close friend of Eric Tigerstedt. In 1927 Baird transmitted a long-distance television signal over 438 miles of telephone line between London and Glasgow. He then set up the Baird Television Development Company Ltd, which in 1928 made the first transatlantic television transmission from London to Hartsdale, New York and also made the first television programme for the BBC. He televised the first live transmission of the Epsom Derby in 1931. From 1929-1935, the BBC broadcast television programs using the 30-line Baird system. In late 1936 the BBC began alternating Baird 240-line intermediate film transmissions with EMI-Marconi's electronic scanning system which had recently been improved to 405-lines. The BBC ceased broadcasts with the Baird system in early 1937. It was two to three months that seem to have been well-spent by both Baird and Tigerstedt. In October 1925, Baird had successfully transmitted the first television picture and there is circumstantial evidence that during his time in the UK, Tigerstedt actually assisted Baird when on 26 January 1926, he repeated the transmission for members of the Royal Institution and a reporter from The Times in his laboratory at 22 Frith Street in the Soho district of London. By this time, Baird had improved the scan rate of his apparatus to 12.5 pictures per second. It was the first demonstration of a television system that could broadcast live moving images with tone graduation. Tigerstedt was enthused by the possibilities, as he was also enthused by Baird’s early experiments with Noctovision (or what we would now term Infrared photography). The two men hit it off from their first meeting and after returning home to Helsinki, they maintained a regular correspondence over the years, while Tigerstedt also made a number of visits to his friend in the UK over the years. The two collaborated in a number of experiments and it seems from their correspondence that each acted as a sounding board for the other, critiquing each others proposals and work, making suggestions and proposing further steps. It was in the field of “Noctovision” in Finland that Tigerstedt would cement his financial security and establish a presence within the country of his birth. The first infra-red vision system had been conceived by Scottish-born John Logie Baird (1888-1946) during the 1920s. In 1926, Baird demonstrated the use of infrared light as illumination for television and came up with a device he called a Noctovisor. Baird had tried ultraviolet light as a means of shooting in darkness, but he found that this was damaging to the subject's eyes. His first experiments with infrared used electric fires and on one occasion a dummy actually burst into flames! His successful infrared source was an ordinary light bulb coated with ebonite to block visible radiation. 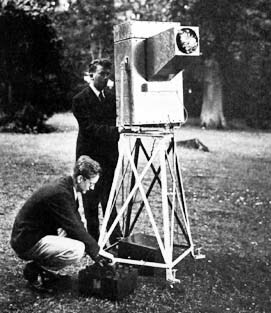 By 1929, Baird had refined the system sufficiently for a demonstration of a self-contained infrared viewer on Box Hill in Surrey on August 9th 1929 – a demonstration in which Tigerstedt, on one of his yearly visits to the UK, also participated. The device (or one similar) is shown in the photograph below. A simulated fog made by viewing through a thin piece of ebonite (which is opaque to visible light) was used and the Noctovisor clearly showed lights which were invisible to the unaided eye. On his return to Finland, Tigerstedt renewed his own experiments with infrared technology and developed perhaps the first successful commercial application of the new technology. He developed a camera and film capable of taking infrared images. In taking many experimental photos, he found that he could determine the health of tree foliage through infrared images. Working experimentally with the Finnish Forest Service, it was found that these images could be used to identify “sick” foliage well before any visible signs (by which time it was usually too late to take any effective remedial action). Experiments with aerial infrared photography over 1930-31 proved it as possible to identify areas of ill-health in both trees and agricultural crops – and Tigerstedt’s company was soon making a healthy income from the technology. Tigerstedt also at this time developed an infrared film for ordinary photographers and over the 1930’s, derived a sizable income from this as infrared photography became popular with photography enthusiasts in the 1930s - when suitable film was introduced commercially. The Times of London regularly published landscape and aerial photographs taken by their staff photographers using Ilford infrared film – but by 1937 33 kinds of infrared film were available from five major photographic manufacturers including Agfa, Kodak and Ilford and Tigerstedt’s Finnish market in this product had been taken over by these companies. 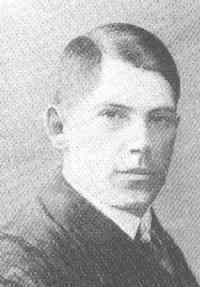 However, by this time Tigerstedt was both financially well-established, had a close relationship with the Finnish military as a result of his work on Ilmavoimat Radios and radio equipment - and had also been employed by Nokia from 1933 to manage their Defence Force funded Military Research and Development Program. With a munificent salary, the sort of funding and laboratory facilities at his disposal that hitherto he had only dreamed of, and the freedom to work on “far-fetched” concepts, Tigerstedt was a man living a dream. And the result of Tigerstedt’s dreams would be a series of inventions whose military applications, as developed by Nokia, would give the Finnish military some rather unusual and effective devices that were used to good effect in the Winter War and afterwards. In terms of weaponry for the Finnish military, Eric Tigerstedt is probably second only to Antti Lahti in his creativity. However, where Lahti was focused in guns, primarily infantry weapons, Tigerstedt was very much focused on the use of technology with which to give the Finnish military an edge over the enemy. Both succeeded, as we will see. As we have mentioned, Tigerstedt had through the late 1920’s and early 1930’s been heavily involved in the design of Radios for Finland’s commercial radio manufacturing industry as well as for the Ilmavoimat’s radios. And in addition to his work with infrared technology, he continued to experiment with both electrophtalmoscopes and ultrasound as well as continuing to experiment with new uses for radio waves. 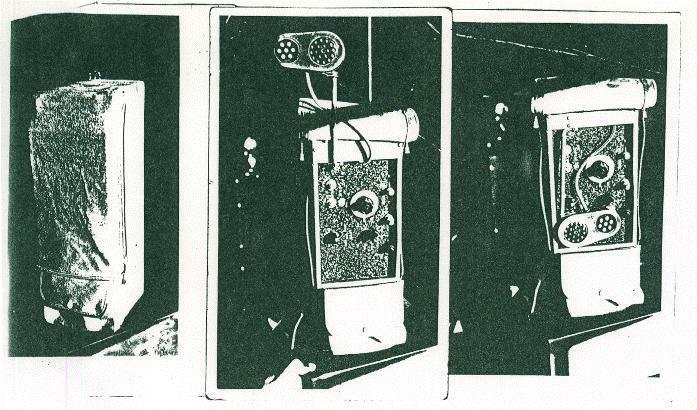 Tigerstedt’s early work with electrophtalmoscopes was based on the earlier experiments of others (FYI, an electrophtalmoscope was in its basic form a device for transmitting information using light – a precursor to optical fibre. Today, we regard optical fibre as a “modern” technology. But as with any modern technology, there are often precursors dating back decades). In the case of this particular technology, the transmission of information via light waves, as early as 1854,a British scientist, John Tyndall, had demonstrated to the Royal Society that light could be conducted through a curved stream of water, proving that a light signal could be bent. In 1880, Alexander Graham Bell had invented a 'Photophone', which transmitted a voice signal using a beam of light. Bell focused sunlight with a mirror and then talked into a mechanism that vibrated the mirror. At the receiving end, a detector picked up the vibrating beam and decoded it back into a voice the same way a phone did with electrical signals. Many things -- a cloudy day for instance -- could interfere with the Photophone, causing Bell to stop any further research with this invention. In the 1920's, John Logie Baird an American, Clarence W. Hansell, as well as Eric Tigerstedt, all patented the idea of using arrays of transparent rods to transmit visual images – respectively, Baird for television, Hansell for facsimiles and Tigerstedt for voice communication. 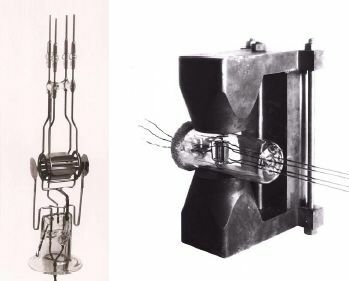 In the early 1930’s, Tigerstedt went on to experiment with the creation of glass cables and then further experimented with the use of fused silica, a material capable of extreme purity with a high melting point and a low refractive index, for the transmission of light signals. He was still working on these experiments in 1933 when he was hired by Nokia to head their Military R&D Lab. At this point his optical cable experiments were put to one side while he focused on projects with more immediate military application – but after WW2, they would be resurrected, placing Nokia at the forefront of the optical fibre communications revolution some decades later as the technology was commercialized. And while Tigerstedt had been working on a number of different projects in parallel prior to taking up his new position with Nokia, one of the first projects that sprang from Tigerstedt’s mind on beginning work in his new position at Nokia R&D was the use of light wave-devices to augment radios for voice communications. To achieve this, Tigerstedt abandoned the use of cables and used light signals themselves, designing a 2-way audio communicator with the signal transferred on a light beam from a 5-watt bulb. Unlike a radio, the device worked on a straight line-of-sight basis and was secure and uninterceptible. The light beam itself was AM-modulated and used a light phase modulator (a moving prism) with the position of the prism determined by the transmitter audio amplifier. A Red or IR filter could be inserted into the beam – the IR filter made the light transmissions invisible to anyone without an IR viewer, meaning the units could not be detected by light emissions – and incidentally making them suitable for night use. The Receiver and Transmitter hadone lens each, with the Light Detector placed 250 mm behind the receiver lens. The Diameter of the light detector was less than 1 mm, so the accurate aiming of the unit was very important. The Diameter of the light beam was only 1.4 meters at 250 meters from the transmitter lens. This gave a diameter of 7 meter at a 1 km distrance. Early trials of the Nokia Valopuhelin by Osasto Nyrkki troopers, 1937. Communications using the device were un-interceptible and thus highly secure. However, to maintain effective communications the devices needed to be aligned on each other and this alignment maintained, meaning they were useful only for static communications – and it was found that artillery impacts nearby would easily throw them out of alignment. The quality of the link was also dependent on atmospheric factors such as rain, fog, dust and snow – although reliability could be increased somewhat if infrared rather than visible light was used. The range was also somewhat of a limiting factor with a maximum of 4km (2-3km when fitted with an infrared filter). While trials of the device proved it worked effectively, it proved more difficult to discover a viable way to use the device in combat. Given that it was line-of-sight, while it was impossible to intercept and provided tight operational line-of-sight communications security, the forested terrain of Finland made it rather difficult to use. A limited number were built for use by the Combined Arms Experimental Unit but these did not see use in combat during the Winter War. Special Forces type units also acquired a small number of the units and experimented with them but again, no practical military use was identified and no further units were manufactured after the initial experimental units had been built. 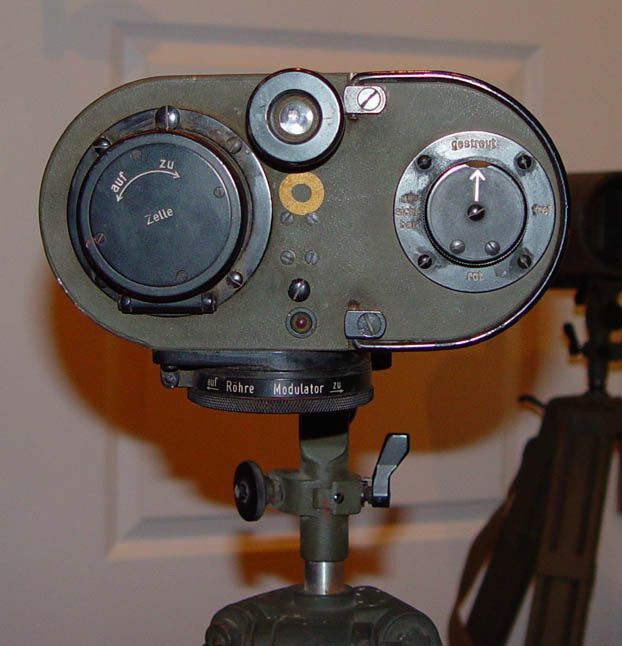 Unfortunately, no Finnish-built units seem to have survived, but as a result of the Finnish military not seeing a practical utilization for this piece of equipment, Nokia licensed the design to Carl Zeiss, who in turn manufactured a small number of these for the German military. As a result, the only surviving examples (photographes below) are the German Zeiss Optical-manufactured Lichtsprechgerät 80/80 (literally, “Light Talker”). The optical signal light units. The Carl Zeiss plate on the front states 1940 manufacture, so these are likely manufactured approximately two years after Nokia first licensed the technology to Zeiss. The tripods are original to the sets. The reverse of one head unit showing the photo cell compartment on the left, the filter change dial on the right and the modulating vacuum tube compartment below. On top in the middle is the optical sniper-scope used to target the otherLi. Sp. 80 unit. OTL, for pretty much all the information available on this device, check out these two sites: http://www.laud.no/ww2/lispr/index.htm and http://www.desyatnik.com/radios/lichtsprech80.php - it’s not invented, this was actually a real piece of equipment developed by Zeiss in 1937. In experimenting with the new light-communications device, Tigerstedt had made a disconcerting discovery that the rapid flickering of the light from the transmitter was somewhat disorienting to the observer. This in turn led him down a research path on the effects of flickering lights – and his interest was excited by the discovery that there had been a considerable amount of prior research carried out on the disorienting power of flickering lights. The idea of attack by illumination had seemingly first occured to Captain Oscar de Thoren, Royal Navy, in 1915. His proposal was to use powerful light projecters on motor vehicles (later tanks) to enable them to move over an illuminated field at night time. The intention was to obscure everything advancing behind the illuminated front and so completely dazzle the enemy as to render aimed fire on his part impossible. After his idea was turned down by the War Office in 1917 and again in 1922, de Thoren was granted permission to submit it to the French Government. Meanwhile in England the idea was made public property in a thriller entitled "Eye for an Eye". In 1933 a syndicate, known as the de Thoren syndicate, had been formed with Mr Marcel Mitzakis (a British citizen of Greek parentage) was its manager. Major-General J.F.C. Fuller was its technical advisor, and the Duke of Westminister financed it. The first trial in France took place in 1934, and the second, with improved apparatus, at Chalons in 1936 which was attended by War Office representatives. It resulted in the War Office requesting the syndicate to stage a demonstration in England. This took place in February 1937 on Salisbury Plain was attended by Eric Tigerstedt, who had contacted Mitzakis on discovering what was being worked on. The demonstration was satisfactory enough that the British War Office ordered three sets of the apparatus for further trials. For his part, Tigerstedt returned to Helsinki convinced that here was an effective weapon and he promptly set up a small team to further pursue the possibilities. Based on the effects of the optical-voice communicator and observations of the UK trials, early experiments were conducted by Tigerstedt’s team where it was found that high speed flickering of a powerful light at a particular frequency had a very disorientating effect on the observer. In essence, the rapid flickering caused the observers pupils to dilate and contract very rapidly, temporarily blinding and disorienting them. Full scale trials were undertaken in mid-1937, using a carbon arc light of 12 million candle power. It was found that when this light was fitted to an obsolete Combined Arms Experimental Unit tank and flickered rapidly, it was impossible for “enemy” forces to locate the vehicle accurately. In one test, a Suuritehotaisteluvalonheitin-equipped vehicle was driven towards an anti-tank gun. Even as it closed from 2000 yards to 500 yards, the gunners (firing practice rounds, one assumes) were unable to hit the tank. When asked to draw the route taken by the Suuritehotaisteluvalonheitin equippped tank, the observers drew a straight line, while in fact the tank had been crossing the range from side to side. It was also found that the rapid flickering was indeed very disorienting, with the effects including dizziness, loss of balance and nausea. It was found that this effect could be further enhanced by rapid switching of colours. More to come in the next post….. The basic principle of the Suuritehotaisteluvalonheitin device was founded on the proven physiology of the way the eyes react to light - if bright light falls on the eye, the pupil contracts to shut out the excess light. Conversely, if the light is suddenly extinguished the pupil dilates in an effort to increase the amount of light falling on it. The theory was that if a bright light was shone through a mechanically driven shutter, set to open and close at a certain frequency, the onlooker would become virtually blind as his eyes would be continually trying to adjust themselves to ever changing conditions. The early experiments had borne this theory out and a decision was made to equip a number of tanks with the device. In early 1938, the Maavoimat’s program to fit out a complete Armoured Division was well underway (we will look at this program when we come to study the Maavoimat’s equipment and organisation in detail) and it was decided to equip the small number of British Matilda I tanks with the lights. Aproximately 45 Matilda I’s had been ordered from the UK’s Vulcan Foundry in May-1937, but by the time the tanks were delivered in early 1938, the experience of the Finnish volunteers in the Spanish Civil War had led the Maavoimat (and primarily the Maavoimat’s Combined Arms Experimental Unit who had a major influence on such decisions) to the conclusion that a tank armed with a mere machinegun and with no practical anti-tank weapon was not particularly useful. With enough Matilda I’s to equip two full Tank Company’s, it was decided that a practical use for them would be to fit them with Tigerstedt’s Suuritehotaisteluvalonheitin device’s, and combine them with newer tanks in a special tank battalion. The work to convert the Matilda I’s was conducted in great secrecy. 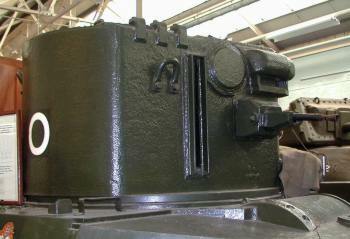 A new turret was designed, divided into two compartments (the new armoured turret was built by Bofors as Finland did not have the technology to cast steel tank turrets – and in fact did not manage to do this through the entire duration of WW2. Bofors were kept in the dark as to what would be fitted inside the turret). The operator sat in the left hand compartment while the optical equipment occupied the right hand side. There was a vertical slit down the front of the turret for the light beam to shine through. The 13,000,000 candlepower light came from a simply built carbon arc mounted on a cradle in the center of the light compartment, the power being supplied a 9,5 Kw generator driven by a seperate auxiliary engine. The Matilda I-Suuritehotaisteluvalonheitin Turret: the light operator sat on the left side of the turret and was provided with asbestos gloves so that he could change the hot carbon arcs when they burned out. He was also provided with a machine gun in the turret front. The Matilda I was a two-man tank, with a Driver and a Commander. Besides operating the light and the machine gun, the commander had to direct the driver and operate the wireless. 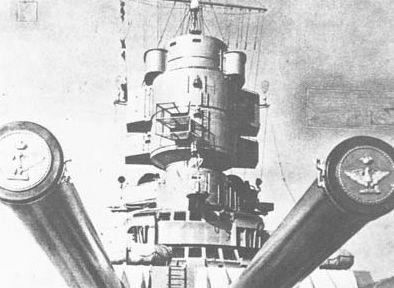 There being no room in the turret for the wireless, it was placed in the hull and the commander had at first to duck down inside to operate it (by the time of the Winter War, Tigerstedt-designed headphones and a mike were in use which were voice-activated and reduced the need to duck down to operate the radio, improving combat coordination somewhat). The intense beam of light from the carbon arc source was picked up by a reflector which was a parabola in its vertical axis and an ellipse in its horizontal axis to produce a beam which converged and subsequently diverged from a nodal point some 60 to 70 inches from the source of light. This beam was reflected half way down its primary focus by an ordinary flat reflector of polished aluminium. The effect of the two reflectors was that the arc lamp could be mounted behind armour and the beam was emitted at the point where the beam converged, which was through a slot two inches in width and 24 inches in height in the front of the turret. Although this slit was vertical the light struck the target area horizontally, this was achieved by the use of the parabolic mirror. The addition of the alloy reflector prevented the mirror being shattered by the machine gun or small arms fire and, in fact, it was found that even after repeated hits, the light intensity was hardly affected. The angle of the beam dispersion was 19 degrees which meant that if the Suuritehotaisteluvalonheitin-equipped tanks were placed 30 yards apart in line abreast, the first intersection of light fell about 90 yards ahead and at 1000 yards the beam was 340 yards wide by 35 feet high. This formed triangles of darkness between and in front of the Suuritehotaisteluvalonheitin into which could be introduced normal fighting tanks and infantry. In “disorientation mode”, blue and amber filters allowed the light to be coloured as well as white. The mechanical shutter could flash the beam on and off up to six times per second. It was found the blue light caused the tank to appear to be at a greater distance than it actually was, and blue and amber light beams from two tanks could combine to illuminate a target with white. A flashing beam would further dazzle and disorient enemy troops by not giving their eyes a chance to adapt to either light or darkness. Suomen Maavoimat Matilda Mk I Tank fitted with a Suuritehotaisteluvalonheitin Turret. A small number of Matilda MkI’s had been ordered by the Maavoimat in early 1937 and delivered towards the end of the same year. The Maavoimat converted them for use with the Suuritehotaisteluvalonheitin. The Matilda Mk I had a Speed of 8mph on road and a maximum of 5.6mph off-road, with a range of 80 miles. An experimental Regimental Combat Group was formed in early 1938, made up of one Armoured Battalion equipped with the 45 Matilda I’s and a like number of the Skoda TNHP tanks (which had been ordered in 1936 and delivered in 1937). Armed with the Bofors 37mm anti-tank gun, the earlier Skoda was actually a far more effective fighting vehicle than the Matilda I. Two infantry battalions and a Light Artillery Battalion operated in support of the tanks. An isolated training area served as the base for the Regimental Combat Group, with tight security maintained. After the conscripts who had been selected for training had arrived at the base, they were provided with a demonstration. One of the Training Cadre, Ylivääpeli (Master Sergeant) Kolehmainen, had volunteered to drive a Suuritehotaisteluvalonheitin-equipped Matilda at some risk to his life. During the day, a gunnery range had been 'swept' (i.e., all tank-tracks removed), taking on the form of a harrowed field. As darkness approached, a light anti-tank gun was pulled out under the charge of Sotilasmestari (Sergeant-Major) Järvinen, the NCO in charge of the gunnery range, He was informed that a vehicle would drive on to his range later that night and that he must stop it using his anti-tank gun with live shells. At a given radio signal, Ylivääpeli Kolehmainen moved off from his hidden position 2,000 yards away, watched by the entire Regiment and a somewhat nervous Colonel Nurmi, the newly formed Regiment’s CO. With shells being fired at him at the rate of one a minute, Ylivääpeli Kolehmainen calmly manoeuvred his tank over the range, stopping, reversing and crossing the range from side to side, all the time keeping the light dead ahead and changing the colour screens. When only 500 yards from the still-firing anti-tank gun, Ylivääpeli Kolehmainen gave the pre-arranged cease-fire signal. Ylivääpeli Kolehmainen then pulled up in front of the Officers and NCO’s (including Sotilasmestari Järvinen) and each one was given a sheet of paper and asked to draw a line representing the route taken by the tank. Almost without exception, most drew a straight line from the starting point to their position. Then, to prove what had really happened Ylivääpeli Kolehmainen illuminated his track marks to the incredulous Officers and NCO’s! Training and the development of suitable tactics began the next morning. During this experimental training phase, the tactical use of this device showed great promise. It was found most effective to use the Suuritehotaisteluvalonheitin-equipped Matilda’s in groups of four to six advancing in line abreast with beams interlocking. It was most important that at no time did the beams fall on the troops within the 'cloaks' of darkness as they would then appear in silhouette to the enemy and be easily picked off. The experienced operator was able to elevate and depress his beam ( + 10 degrees elevation to -10 degree depression) via a hand wheel at the same time checking through a dark green glass on the carbons in case of adjustment. In this way, he was able to compensate for the tank's progress over undulating ground. It was, however, found as time went on that, when viewed from a flank, the troops in these triangles of darkness were silhouetted and it was further learned that the tanks, when not maintaining accurate station, became themselves easy targets for enfilade anti-tank fire. Various formations were evolved in order to overcome these disadvantages, f.e. the provision of flank troops equipped with Suuritehotaisteluvalonheitin-equipped Matilda’s to blind the enemy who were in a position to enfilade the attack. 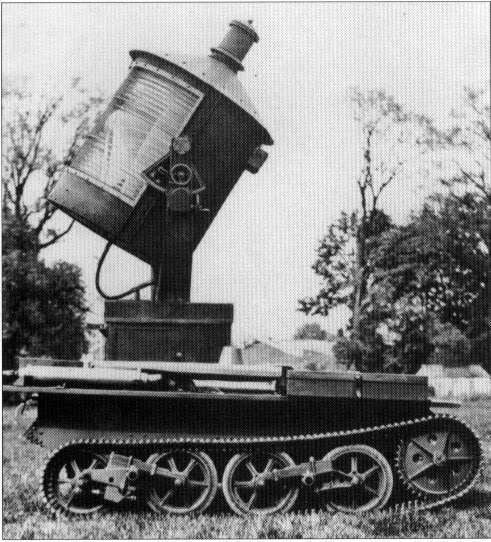 The illuminating power of the lights was tremendous and when a company of sixteen tanks, eight of them equipped with the Suuritehotaisteluvalonheitin, were operating it was possible to read a newspaper five miles away on a dark night much to the wonderment of the local rural population who had no idea what was going on within the training area. This immense volume of light presented its own problems with security and rumours ran wild. Following some six months of training, a demonstration was given to senior Officers of the General Staff – “enemy” troops were placed on a hill and warned they would be attacked from a hill 1 1/2 miles away. At the start of the attack, two Suuritehotaisteluvalonheitin-equipped Matilda’s came round each side of the hill on 'scatter', this manoeuvre broke up the hill's outline and enabled three others to move on to the crest. When on top, they opened their shutters to display a 'steady' beam which was the signal for the two 'scatter Suuritehotaisteluvalonheitin-Matilda’s to change to 'Steady'. The tanks moved down the hill in line abreast, in the manner already described, with troops and tanks hidden in the 'cloaks' of darkness. At the bottom lay a river with a small bridge which had to be crossed. This was achieved by the outside Suuritehotaisteluvalonheitin-Matilda’s closing their shutters and moving across the bridge where they again opened their shutters when spaced thirty yards apart. This enabled the other Suuritehotaisteluvalonheitin-Matilda’s and supporting vehicles to move across unseen before opening up as well. The first thing the “enemy” officers and troops knew was when the lights were extinguished revealing “Finnish” troops holding fixed bayonets at their chests. As more experience was gained with this device, it became clear that some of the earlier claims were exaggerated. It had already been pointed out that the scheme for using the triangles of darkness to cover the approach of assault troops necessitated using Suuritehotaisteluvalonheitin-equipped tanks for flank protection. It was found too, that the blinding effect was not as great as originally thought. Moreover, the whole device depended on the maintenance of secrecy untill it first used as it was realised that antidotes could be rapidly improvised and the value of the Suuritehotaisteluvalonheitin correspondingly reduced. An even more serious setback was the discovery that the use of a green sunfilter enabled an observer to see clearly the actual slot through which the light passed. This information was communicated to Tigerstedt, and resulted in a re-think of the Suuritehotaisteluvalonheitin approach. More in the next post….. However, while the Maavoimat had been experimenting with the tactical use of the Suuritehotaisteluvalonheitin, Tigerstedt and his small team had been working on a different project – the Portable Combat Voice-Radio for the Infantry. As we had covered earlier, in 1939, the Suomen Maavoimat entered the Winter War with what was, at the time, probably the most robust, innovative and effective military radio system in service in the world at the time. All armored vehicles were fitted with radios, every Infantry Company and a many Infantry Platoons were equipped with a man-portable radio with an effective range of up to 8 miles, and all headquarter units from the Company level up were equipped with radios. Vehicle mounted radios were larger, and had a longer range – generally 15-25 miles depending on the terrain, while the larger (Brigade and Divisional) headquarters units and Artillery Batteries were equipped with vehicle-mounted radios capable of receiving and transmitting over even greater distances. The Maavoimat had also put a great deal of research, development and planning effort into developing their radio communications networks, communication protocols and simple voice codes, all of which were to give them an enormous advantage in combat. The Maavoimat had also developed a remarkably effective signals intelligence organisation within the military, with a signals intelligence unit allocated to each Division as well as to Corps Headquarters and in some cases, at the Brigade level. This was derived in part from their research work, in part from experience in Spain and in part from their own assessment of what was needed. This situation had not come about by accident. While much of the credit must go to the Planning Group responsible for the reorganisation and reequipment of the Finnish Army, a generous amount of credit goes to the Combined Arms Experimental Unit which evolved through a combination of theory and empirical practice an effective tactical doctrine for the use of the new equipment. However, in the case of infantry combat radios, without the work of Eric Tigerstedt, the Maavoimat would have been restricted to the large and heavy radios that were the standard for all militaries in 1939. In an earlier post, we had mentioned that the Forest Service, with no radio expertise of their own, had first approached the Maavoimat for radio equipment in early 1936, but the Maavoimat did not have any such Radio at the time, although they made what radios they did have available for Forest Service trials. Keep in mind that at this time, while several types of field radios were operational, most needed vehicular transport and those that were man-portable needed 2-3 men to carry and operate. None were truly portable in the modern sense. Minimum Weight was critical, as was minimum bulk. 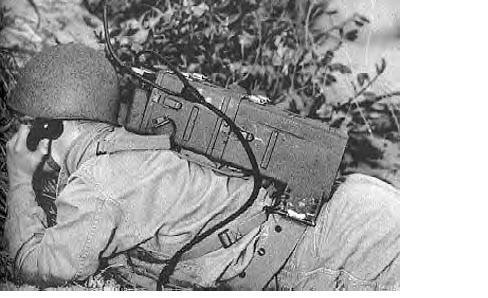 An Infantry soldier had to carry a large amount of equipment with him and a truly portable combat radio for the soldier would be able to be carried and used by one man in conjunction with all his other personal equipment. 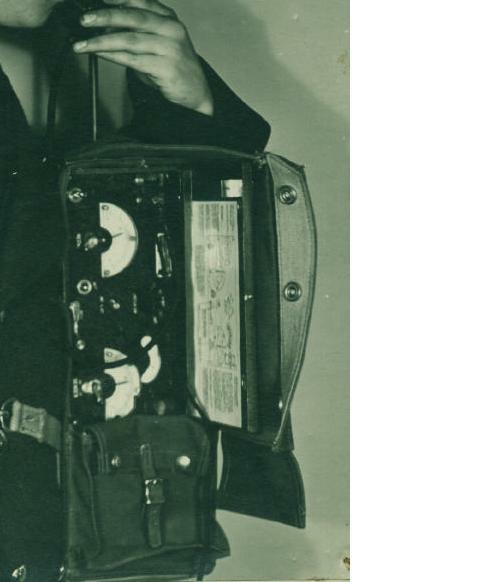 On 16 February 1937, a Research and Development contract was awarded to Nokia for a one-man backpack portable radio with radio-telephone capability robust enough to be carried into battle by infantry soldiers, parajaegers and of course, Savusukeltaja. Initial funding was provided by the Forest Service, with support from the Maavoimat’s Radio Workshop promised. This was an opening that Nokia Radio Oy had been looking for and Tigerstedt and his team were asked to start work immediately. 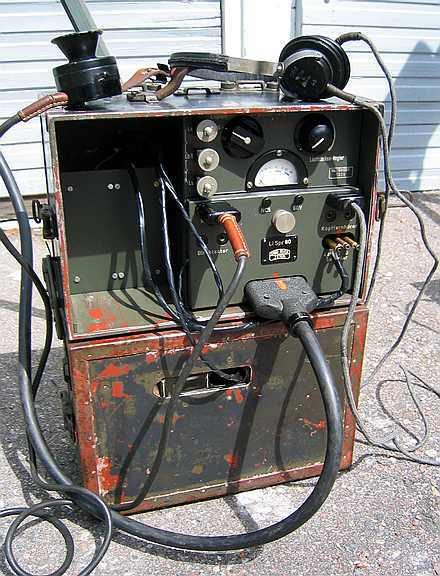 Few people today realize the historical accomplishment of the Tigerstedt R&D Team’s achievements – to this day, reliable portable long-range communications rely on circuits that the team designed in 1937. 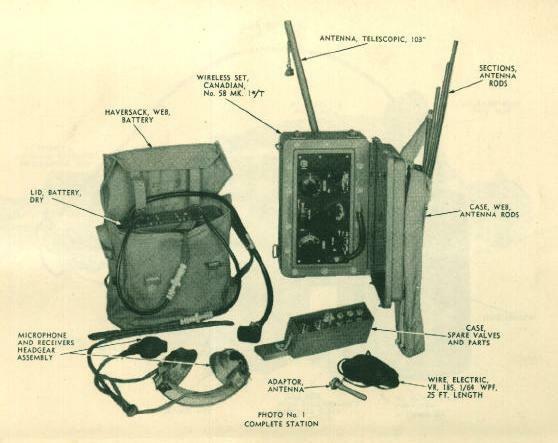 The first portable two-way voice radio the team built weighed only 12 pounds (battery included), had an effective range of up to 30 miles, was contained in a water-tight container (the size of the box was 6” x 7” x 13”) locked with two quick release latches and with a fold-down antenna included within the case. The radio was capable of operating on two pre-set frequencies.. The radio used a special form of modulation which gave a 20db gain on voice due to the expanding carrier wave. The radio used electronic voice control, which afforded minimum battery drain and used a multi-frequency crystal control with electronic selection of frequencies, with a frequency range extending from 400 to 10,000 kc/s. The original Combat Radio as demonstrated by Nokia to the Maavoimat in late 1937. In the first tests, it was ruined by Savusukeltaja on an obstacle course. This led to the development of the next model, which was designed to be far more robust - and as a result, larger and heavier. The second Prototype Combat Radio as demonstrated by Nokia to the Maavoimat in mid-1938. This passed the “robustness” test with flying colours but at some 20 pounds, was also heavier. The first production version of the Nokia Combat Radio. After extensive trials and a further “field-test” period with the Savusukeltaja over the fire-fighting season of the summer of 1939, production started in late 1939 on the “Close enough is good enough” theory. Unfortunately, only a small number of the radios were available at the start of the Winter War, but by the Spring of 1940, sufficient had been manufactured for them to begin being issued en-masse to units down to the Platoon level. In a post-field test review, it was stated that “from a review of today’s radio equipment, it will be seen just how valuable this new design is,embodyingas it does, among other things, lightness, flexibility, positive operation under the most severe conditions and a range far surpassing equipment now in use. The new transmitter tested includes the following improvements: weight 5 pounds, power output, phone and code, 29 watts: controlled carrier amplitude modulation that exceeds 100 percent without the usual sideband detrimental effects, high speed thermionic keying of oscillator for break in operation; no relays; sparkless; multifrequency crystal control on any frequency from two to ten megacycles; input and antenna current indicators; conservative tube ratings; no knobs, dials or meters; no tuning procedures; no moving parts, drive cables or relays; extreme simplicity of operation. In early 1939, as Nokia began to gear-up for the mass-manufacturiing of the new Radios, Finland found itself in the dangerous position of proposing to gamble the integrity of its communications equipment on a component that was not available in the quantities immediately needed. Nokia faced immediate challenges in building a crystal manufacturing capability and in obtaining sufficient supplies of raw quartz. At this stage, Rudolp Walden, in his capacity as Defence Industry coordinator, had stepped in and allocated responsibility for the manufacturing of quartz crystals to ASA Radio. Using what are now considered primitive methods, about 20,000 crystal units were produced by ASA over 1939 – a mammoth industrial effort at the time, but one which ensured that enough crystals were available for the radios that were manufactured. These radios were a closely-held military secret over the course of the Winter War. It was only in 1943, when early planning began for the Finnish intervention against Germany in the later phases of WW2, that the capabilities of the radios were revealed, and then only to the British and Americans. These products so impressed the Allies that orders were plaved with Nokia for tens of millions of US dollars worth of these radios to equip Allied units (British, American and Polish) that were beginning to be based in Finland. At this stage, Finland also began selling the radios to the Swedish Armed Forces. And it was these quartz crystal units, which controlled the radios transmitting and receiving frequencies that made the Maavoimat’s radio equipment such a powerful weapon through WW2. Comprised of little more than a fingernail-sized wafer of quartz, these crystal units provided the operating stability which ultimately allowed instant and dependable radio communications to be taken for granted by the men in the field, in tanks, and in aircraft. Though the outward appearance of the quartz crystal unit suggested a very simple device, their manufacture required methods of exacting standards and extreme precision. So much so that in Finland prior to the Winter War, they were produced one at a time, by hand, by one person. However, by the end of the war, a full-fledged ASA factory was turning out over 100,000 units per month, most of them for export. Quartz crystals went from a 19th-century scientific curiosity to the focus of a massive military and industrial program during WW2. The largely untold story of this transformation is one of science and technology and the problems of peace-time military planning. It deals with the conflict between the established arms of the military and the rapidly evolving and expanding ones born of the previous World War. It involved unprecedented cooperation among and between various government agencies, independent branches of the military, and private industry in order to design, build, supply, and support a war-time mass production industry where none had existed prior to the attack on Finland by the Soviet Union. In this, Finland (and ASA and Nokia in particular, were eminently successful – and it was a success which would lay the foundations for Nokia’s later export successes in the electronics industry). Two immediate issues faced the nacent Finnish quartz crystal manufactuer – the first was gearing up for mass production where no mass production techniques or equipment existed. The second involved securing large amounts of the raw quartz needed for manufacturing the crystal units, with the only soure of “radio grade” quartz being from Brazil of all places (this was soon solved – a more or less “empty” Finnish cargo ship returning from South America was filled to capacity with Brazilian quartz, ostensibly purchased for use in the planned 1940 Olympics. This supply was sufficient for Finland’s immediate war-time needs and lasted into 1942, after which relations with the Allies were close enough to ensure the US made quartz available to Finland. In terms of rapid industrial growth and dramatic increases in output, the story of the crystal industry is not unique. A great many industries (such as gun, aircraft and ship manufacturers) grew in size during the war. A great many other sectors of industry (such as the automotive industry) retooled their plants for the production of war materiel. Completely new industries (particularly the synthetic rubber and synthetic oil industries) were created elsewhere by scientists, engineers, and industrialists where none had existed before. What is truly unique about the crystal industry is that it was invented from scratch. There was no mass production industry to expand. To enter the crystal business took much more than a simple “retooling” of manufacturing plants; in early 1939, no one really knew how to mass produce crystal units. No blueprints existed for the quartz crystal industry. The complete story of this wartime effort has never been told in any unified way but more than anything else, the story is one of invention. At its heart, the story of the quartz crystal oscillator is a story of a product of pure research that was almost instantaneously embraced by the amateur radio community. However it also involves the inventiveness of the early pioneers of the crystal industry, developing the tools and techniques needed to manufacture the crystal units. It includes the work of ASA and Nokia and the Finnish government to invent a mass production industry for an item whose crucial importance to the military was only fully realized after the war began. The new methods of business cooperation and the ways of confronting the age-old problems of supply and demand that were developed with respect to the crystal industry can also be considered inventions. Overall, this is a story of an interconnected web of inventors (scientists, industrialists, basement hobbyists, and military administrators) and inventions (material objects, techniques, and ideas). The overall success of this wartime program can quite possibly be linked directly to the fact that it essentially had no history; no previous modes of thought and action that could inhibit the free-thinking and inventiveness on the part of the participants as well as to the sheer determination of the Finnish businesses and military to drive the program through despite the many issues and obstacles faced. By late 1939, the ASA unit responsible for manufacturing crystals employed approximately 500 people. Improved processes for cutting crystal blanks were developed, and a new machine for was designed to to enable mass production of crystals - instead of the necessity of grinding each crystal by hand to the proper thickness, this machine could grind more than one crystal at a time down to a thickness of about .012 inch. More than any other invention this machine was responsible for enabling ASA to achieve mass production. One of the most important advances made was the development of techniques that reduced the size of a quartz crystal. This made it possible to stack many crystals into a radio set for different channels, and cut down the size and amount of natural quartz needed. Leiviskä, working with ASA and Nokia engineers, had by this time also developed a process to automatically and accurately tune quartz crystals in a shorter time while using far less labor. Prior to the development of his process, all crystals had to be polished by hand in order to ensure proper tuning. As a result, the ASA factory was able to produce more high quality radio crystals far faster than previously. Leiviskä never patented the process and it was kept secret until after WW2. 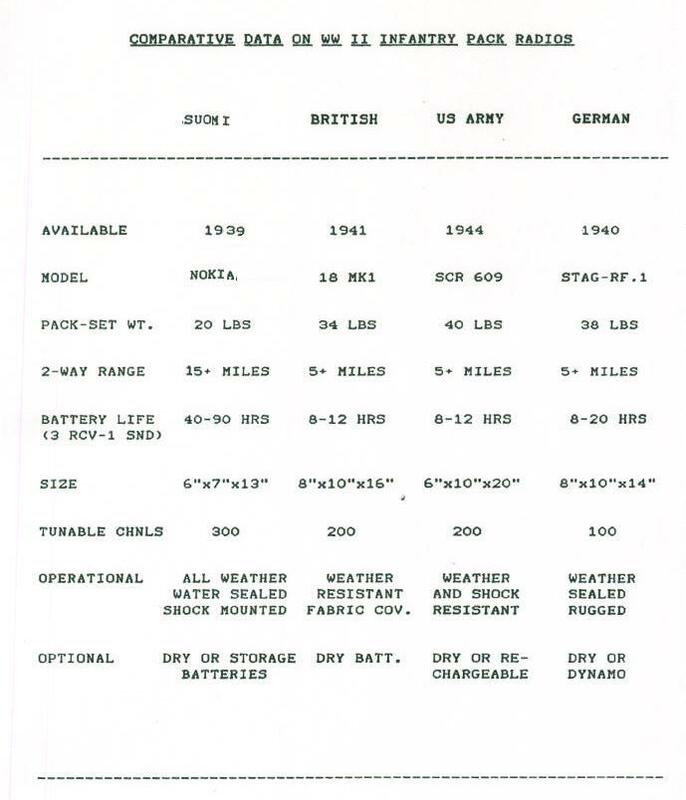 Above: A page from the British Army Manual that was developed for the Nokia Combat Radio as issued to Allied Forces attached to, and operating under the command of, the Maavoimat. Late 1943. 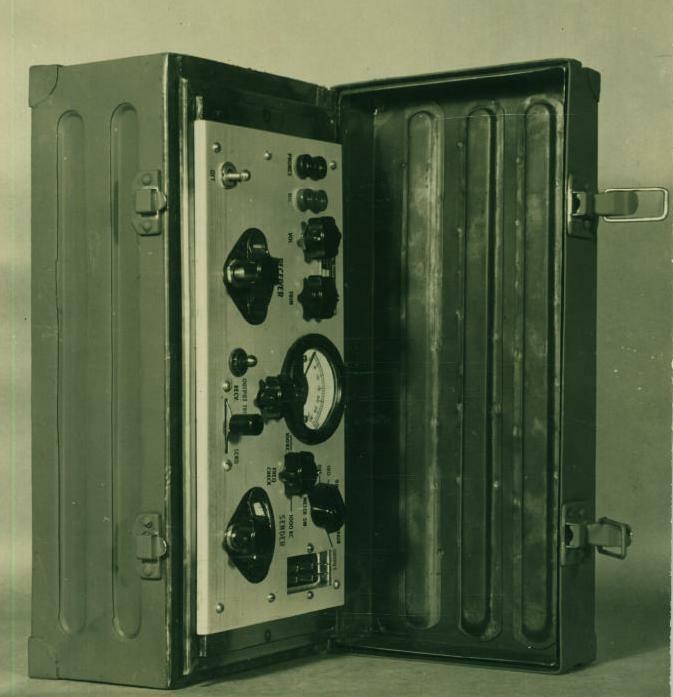 By way of comparison, the equivalent radio used by US Forces was the Motorola SCR-300, which was available for use only in 1943 (4 years after the Nokia radio), weighed in at 32 pounds and was still primarily a two-operator system (one carrying and the second monitoring and doing the talking). In winter weather and with a Rifle, a radio operator was carrying about 97 pounds of clothing, helmet, weapon and radio – and the SCR-300 only operated out to around 3 miles! A prototype vehicle version of the Pack Set Radio was developed by Nokia – here, a member of Tigerstedt’s team working on the Vehicle Radio. The “Tank-Set” developed by Nokia for use in the Maavoimat’s Armoured Vehicles. First manufactured in 1939, the Maavoimat managed to produce enough through the last half of 1939 and early 1940 to fully equip all armoured units, including those using the large numbers of Soviet equipment captured in December 1939 and January 1940. Rugged, reliable, compact and with an extended range, the communications offered by these radios tremendously enhanced the fighting effectiveness of the Maavoimat’s armoured formations. Comparative Data on WW2 Combat Radios: A quick comparison shows the weight, range, battery duration, volume and frequency advantages the Nokia Combat Radio offered over British, US amd German Radios. OTL, for the sake of those unfamiliar with the Finnish military in WW2, here’s a somewhat roughly translated summary (from http://www.veteraanienperinto.fi/suomi/ ... iminta.htm) on Finnish Army Signals in WW2. At the beginning of the Winter War, Finnish troops were subject to major equipment deficiencies in all categories. Even in the last moments before the war, there were no attempts to acquire more equipment, and the Army entered the War with just what they had available. 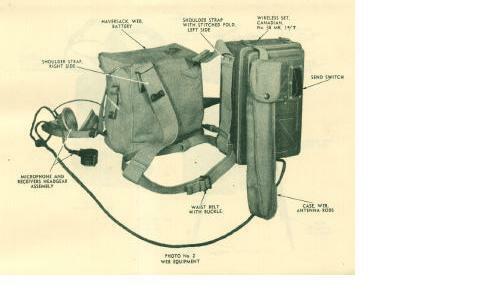 Signals equipment had only ever been purchased in limited amounts and field radios in particular were too few. There were only 239 field radios for the entire Army, which was less than 30% of the minimum needs. In addition, the majority of the radios were out of date and their range was uncertain. Most of the available radios were morse-based, and only 50 of the Radios could carry Voice signals. As far as Field Telephones were concerned, Field Exchanges were sufficient in number to meet 80-90% of the need, but only 50% of the needed Field Telephones were available and cable was in extremely short supply. Old Field Telegraph equipment was sufficient to enable the higher command levels of the Army to maintain communications links. Some use was also made of optical signaling equipment, such as flashers. Message dogs were also used but were soon abandoned. During the Winter War radio links were used with relatively little disruption, but there was a severe shortage of radio equipment. The Signals Branch focused primarily on building and maintaining field telephone connections. Cables were broken in many places, however, by the enemy's artillery fire. Fault Patrols were often forced to repair the damage from the enemy's fire. Such repairs were often made by laying communications wires directly onto the snow to ensure the signals networks were kept working, for example. Where signals links were broken or there was a complete lack of connections, battle messengers were used. This method, however, was often too slow and uncertain, since many battle messenger movements were interrupted by enemy fire. During the period between the Winter War and the Continuation War, the Signal Corps was doubled in size owing to the experience gained in the Winter War. At the same time, large-scale purchases of Signals equipment began. Equipment was very diverse. For example, there were 37 different models of field telephones. 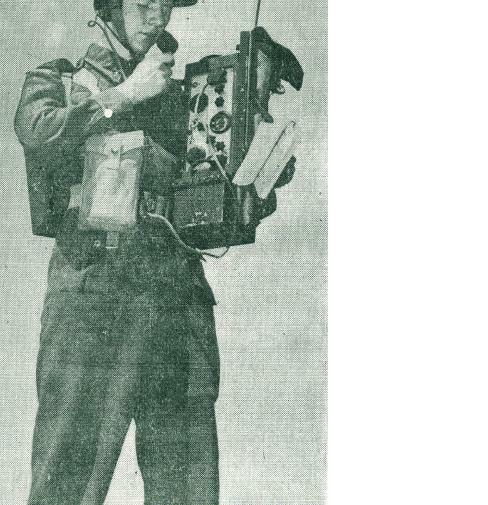 Field radios were still in short supply. Even before the beginning of the Continuation War, the Mikkeli Headquarters Signals Centre became operational and played an important role in maintaining contacts with key formations and commanders. In the Attack Phase of the Continuation War, maintaining communications links was a particularly difficult task as the military still lacked much of the needed signals equipment and the rapid advance of the attacking Finnish units and the long distances involved made it difficult to maintain communications contact. 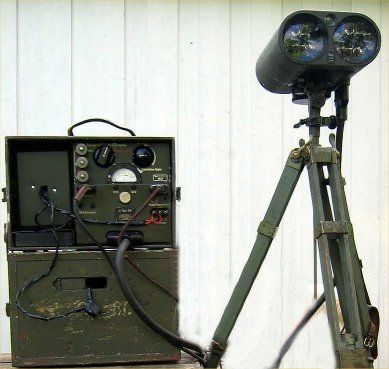 During the Continuation War, the Signals Branch continuously purchased more equipment. Radios were produced domestically and the first FM radios were introduced. Long-range Patrol Units were equipped with the superbly effective Finnish designed and developed Kynnel Radio. The Field Telephone network was expanded and radio signals encryption became standard. The Soviet radio monitoring network covered much of the front line areas, while similarly the Finnish Radio Intelligence network monitored enemy radio traffic. The intelligence information acquired by the Finnish Radio Intelligence network was often significant. By the end of the war, the Signals Branch consisted of some 13,600 Signals troops, a significant percentage of whom were trained to perform a range of Signals tasks rather that being narrowly specialized. In the defensive withdrawal of Summer 1944, much Signals equipment was destroyed or lost during the withdrawal. Similarly, all the intact field telephone cables could not be dismantled. Although the Signals Branch lost significant amounts of equipment, communications were maintained and when the situation stabilized in July-August 1944, the communications network was reorganized and equipment replaced wherever possible. During the Lapland War, Signals arrangements were affected by the very long distances in Lapland. Radio proved invaluable. Radio communications were hampered, however, by weather and occasionally by the Northern Lights. Operations along the Torne River were facilitated by the fact that Sweden gave permission to use their fixed telephone network on their side of the border for communications. Despite the many difficulties, the Maavoimat’s Signals units were able to meet the demanding tasks set for them in the Lapland War. In summary, in this Alternative History, Maavoimat Signals Branch organisation and overall personnel strength at the start of the Winter War is perhaps in some ways similar to what was in place towards the end of the Continuation War OTL, but with “1939” equipment. The only major departure from reality is the use of Eric Tigerstedt as a catalyst for the “invention” of some of the equipment – but with the provisio that all the equipment described actually did exist at the time in question. No outrageous differences in equipment and no technical “miracles,” just more equipment and a tactical doctrine that had evolved over the best part of a decade to take this into account. With better preparation and funding through the 1930’s, this might well have been achieved in one form or another. Doctrine with regard to the use of communications equipment is also a critical factor and in this ATL, the Maavoimat’s Experimental Combat Unit has evolved a practical doctrine for the use of pervasive radio communications which in many ways parallels the use made of Radios by the Heer in 1940 (or the Americans in 1944-45), but which has evolved independently from, and in parallel to, the Germans. When we come to look at the experience of the Finnish Volunteers in the Spanish Civil War, we will also dive into this more deeply. 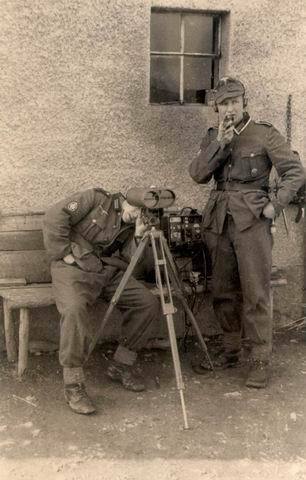 For a good example of the difference that doctrine in the use of equipment makes, we merely have to look at the different ways in which the British, French and Germans made use of radio equipment in the first phase of WW2, leading up to and including the Fall of France. While the British and French had radio equipment more or less on a par with the Germans, their tactical doctrine was largely based on WW1 and even with more radio equipment it’s highly unlikely the outcome would have been any different. When I get to covering Maavoimat units, organisation and doctrine / tactics, we'll dive into this whole use of radios in a little more depth. “Blitzkrieg” by Len Deighton (unlike many authors on the subject, Deighton’s book does a good job of covering the strengths and weaknesses of the military communications networks of France, Britain and Germany at the start of WW2, albeit briefly and at a high level. Earlier, we had briefly mentioned Tigerstedt’s friendship with the British scientist and inventor, John Baird, as well as their mutual interest in early infrared technology (“Noctovision”) and Tigerstedt’s participation in one or two of Baird’s experiments. At this stage it is also perhaps worth mentioning a book written in 1931 called “Television: Today and Tomorrow” (by Sydney A Moseley and H J Barton Chapple with a foreword by John L Baird, published by Sir Isaac Pitman and Sons, London Second Edition 1931). The authors of the book describe Baird's demonstration on Box Hill and were clearly excited by the naval and military possibilities. They foresaw this infrared technology as providing a capability for night and fog-bound vision that was, in reality, only achieved by Radar during World War II. We also know that on having joined Nokia Radio and with R&R funding having been made available, after his initial work on the Suuritehotaisteluvalonheitin device and on the Portable Combat Radio, Tigerstedt again visited the UK, where he spent considerable time with Baird over a two month period. Almost nothing beyond a few handwritten notes remains as evidence of what the two men worked on or discussed, but the little we we do know suggest that Tigerstedt and Baird focused primarily on radio wave detewction systems and on applications for infrared technologies. Unfortunately the meetings themselves were never documented and it is now, this far removed in time, unclear as to who contributed what ideas and to whom – but what we do know is that after his return, Tigerstedt began what was almost literally a frenzy of work on two different projects – one of which would become the Nokia Radio-wave Detection System, while the other would eventually become known as the “Verenimijä Project.” The Maavoimat R&D Oversight Committee proved receptive to both ideas and by late-1937 had agreed to provide Tigerstedt with funding – his earlier successes which were now beginning to come to fruition almost guaranteed him support for any new proposal with military applications. In the period between 1934–1939, nine nations developed, independently and mostly in secret, radio detection systems that used the reflections of pulsed radio signals from metal objects to determine the range and distance of said objects. These nine countries were the United States, Great Britain, Germany, the USSR, Japan, the Netherlands, France, Italy and Finland. In addition, Great Britain had shared their basic information with four Commonwealth countries: Australia, Canada, New Zealand, and South Africa, and these countries as a result also developed indigenous radar systems. During the war, Hungary was added to this list. Over the course of WW2, France and the Netherlands were removed from the equation early on, Italy somewhat later and towards the end of the war Hungary was in ruins – but by the end of hostilities, the United States, Great Britain, Germany, the USSR, Japan and Finland had a wide diversity of land- and sea-based radars as well as small airborne systems. Finland was the only small country out of those with such capability at the start of the war which both survived and continued to develop its own indigenous capabilities. And in this, Eric Tigerstedt was one of the keys to Finland’s success – and part of thre reason for Tigerstedt’s success was his ability to gain a rapid start through leveraging his personal contacts within the scientific community in the UK, Germany and the Netherlands. As we had previously mentioned, Tigerstedt had long had a good working relationship with the Philips subsidiary in Finland, Fenno Radio. As a result of this and his visits to Philips in the Netherlands (made as he began work for Fenno on radio designs), he was aware of the early research that Philips had been conducting in the Netherlands on radio-based detection systems (as well as earlier research and work on similar systems) and his personal contacts with Baird in the UK gave him some “inside information” on the UK’s Chain Home project. As has been mentioned a number of times, Finland had strong engineering links with Germany, many Finnish engineers (including Tigerstedt) had studied in Germany and Finnish Radio Manufacturing companies had both formal and informal links to German companies such as Telefunken and Lorenz. Also, radar research in Germany in late 1937 was not a particularly high priority and it was a fairly straightforward process foir Tigerstedt to use his contacts in Germany with Telefunken and Lorenz to gain privileged information on the German research that was going on. It was thus not surprising that in early 1938, Tigerstedt, with his contacts in these countries, was able to quickly bring himself up to date on the progress that had been made in work on radio detection systems and incorporate this into his own program, leapfrogging Nokia (and Finland) into a position more or less on a par with the then leaders in the field. Tigerstedt wrote up his findings on the current state on radio detection systems and the possibilities for its used in an internal document for Nokia Radio R&D entitled “How far recent advances in scientific and technical knowledge can be used to strengthen the present methods of defence against hostile aircraft” which, despite its title, also looked at how these methods could be used for naval gunnery, both from ships and for the coastal defence batteries. Funding was allocated to Nokia almost immediately for a Project to build a trial radar system. At this stage, one must keep in mind that given the way that electronic warfare characterizes today’s battlefields, it is sometimes difficult to remember that scientists only discovered the existence of radio waves a little over one hundred years ago. The history of radar actually starts with experiments by Heinrich Hertz in the late 19th century that showed that radio waves were reflected by metallic objects. And by 1904 a young German engineer named Christian Hulsmeyer claimed his patented “telemobiloscope” could transmit radio waves and receive their reflections of passing objects. He suggested that such a device could prevent collisions at sea or aid navigation. He gave many public demonstrations in Germany and the Netherlands of the use of radio echoes to detect ships so that collisions could be avoided. His device consisted of a simple spark gap used to generate a signal that was aimed using a dipole antenna with a cylindrical parabolic reflector. When a signal reflected from a ship was picked up by a similar antenna attached to the separate coherer receiver, a bell sounded. During bad weather or fog, the device would be periodically "spun" to check for nearby ships. The apparatus detected presence of ships up to 3 km, and Huelsmeyer planned to extend its capability to 10 km. It did not provide range (distance) information, only warning of a nearby object. He patented the device, called the telemobiloscope, but due to lack of interest by the naval authorities and by shipping companies at the time the invention was not put into production. Huelsmeyer also received a patent amendment for estimating the range to the ship. Using a vertical scan of the horizon with the telemobiloscope mounted on a tower, the operator would find the angle at which the return was the most intense and deduce, by simple triangulation, the approximate distance. This is in contrast to the later development of pulsed radar, which determines distance directly. Representatives of shipping companies flocked to various demonstrations in Germany and the Netherlands and were impressed that the device could detect objects up to a range of approximately five kilometers. But there were no buyers. At the time, investment capital was scarce in the maritime industry, wireless telegraphy already offered a means of communication between ships (as well as a form of direction finding by taking cross bearings on shore stations) and the legal and technical relationships between this use of radio waves and the patented wireless telegraphy of the Marconi monopoly was unclear to shipowners. That is, budgets were tight, other devices that seemed to fulfill present needs already existed and it took real imagination to sort out the nature and possibilities of something so new. The key to the timing that turns a discovery or invention into a successful innovation usually lies in whether laymen can envision its possibilities. And in this case, it would take more than the promise of safer navigation at sea. Although radio became a significant feature of WW1, the idea that later became radar languished in obscurity. Radio waves form a portion of the same electromagnetic spectrum as visible light and travel at the same speed. The difference lies in the lower frequencies and thus longer wavelengths of radio waves. Like light, they reflect well of most metallic surfaces, but longer wavelengths allow radio to penetrate fog, clouds and many solid objects. In contrast to light, they are also partially trapped within the multi-layered canopy around the earth known as the ionosphere. This initially attracted researchers and inventors to the low frequency end of the spectrum, where they could bounce waves of thousands to hundreds of meters long off the canopy for long-range communications. Into the period of WW1, sparking devices were used to generate such waves (this incidentally accounts for the way the German word for spark, Funk, is still embedded in many terms dealing with radio communications such as Rundfunk for broadcast radio and the corporate name, Telefunken). Such devices offered an on-off form of communication and were well-suited to morse code at sea and on land as a backup to wireless telegraphy, or even in airships with multiple crew members where someone could operate the wireless telegraph. The increasing importance of single-seater aircraft encouraged the development of electron tubes that amplified signal strength and made wireless voice telephony possible. These “thermionic valves” as the British called them, offered stable continuous frequencies, as well as ways of modulating a sound wave onto a carrier wave. The advantages of voice communication that would keep both hands of a pilot free were obvious. The naval requirement for radio voice communications was less pressing, even where wireless was useful, such as in the case of convoys or submarines. In general, the Germans made more extensive use of radio on both sea and land than the British in WW1. They believed that it offered a way to transmit commands simultaneously to as many units as had receivers without the bottlenecks and delays caused by telegraph relays or telegraph switching stations. They relied on encryption rather than radio silence to mask their communications. What they did not realize was that the British were particularly effective in direction finding and other signals intelligence techniques, as demonstrated by their success in deducing the movement of the German High Seas Fleet out of its ports – in May 1916, a British advantage that resulted in the Battle of Jutland and almost in the destruction of the German Fleet. On the other hand, the Germans effectively confused the tactical situation by transferring the call sign of their flagship to shore before sailing. The basic electronic warfare pattern of measure, countermeasure, and counter-counter-measure was already becoming apparent. The Germans actually had the opportunity to build a radar capability at this time, but when the German engineer Hans Dominik shared the reports of his tests of a Stahlenzieler (“ray-aimer”) with the Imperial Navy in February 1916, the Navy responded that the device still needed six months development and therefore would not be useful in the war. The engineer and scientist Hans Dominik joined the "Department of Lighting and Power" at Siemens & Halske in 1900. Following a comprehensive project on electrification in mining for the Paris World Exhibition, he was made manager of the Literary Department (public relations), a post he held for around a year. From 1917 Dominik worked as an engineer in the area of telegraphy. He was also a writer, and from 1922 published a series of technological utopian novels. The most important works of this author, who was also hailed as the "German Jules Verne", include the novels "Die Macht der Drei" (1922), "Die Spur des Dschingis-Khan" (1923), "Der Brand der Cheopspyramide" (1926), "Befehl aus dem Dunkel" (1933), "Der Wettflug der Nationen" (1934), "Atomgewicht 500" (1935), "Himmelskraft" (1937), "Treibstoff SR" (1940) and his memoires "Vom Schraubstock zum Schreibtisch" (1942). When the Great War ended, radio development continued apace. Growing commercial possibilities tugged developments along, despite the economic ups and downs of the postwar era. A wide range of manufacturers, products and techniques for continuous wave propagation emerged. By 1930 the American technical lead in the immediate post-war years had begun to dissipate, but the Americans and British were ahead of the French, Italians and Germans in market development. When the Nazi’s came to power in 1933, they mass-produced simple and inexpensive sets known as the Volksempfanger (“peoples receiver”) with which to hear the voices of Hitler and Goebbels. Worldwide, radio broadcasting and reception moved from the phase of innovation to that of diffusion. 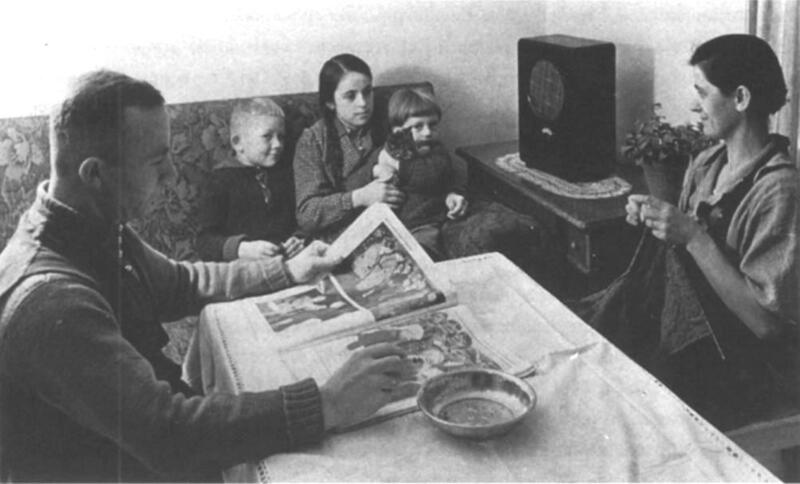 The Volksempfanger (“peoples receiver”) – an example of the diffusion of new technology. Radar would follow the same process, moving from an innovation at the start of WW2, to widespread use by the end of the war. And now, before we move on to look at the Finnish Radio-Detection System Project, it’s more than likely a good idea to describe the basics of Radar itself. And as Radar is basically an evolution of a radio system, it’s probably useful to define the basic elements of a radio system first. A radio system consists of a "transmitter" that produces radio waves and one or more "receivers" that pick them up, with both transmitter and receiver(s) fitted with antennas. The very earliest "wireless telegraphy" radio systems used a transmitter that simply generated a burst of radio energy by opening an electric circuit containing an inductive coil with a telegraph key, causing a spark. The radio waves propagated through space and set up an electric current in a receiving antenna, which in turn closed a relay switch. Messages were sent using Morse code. The problem with this simple scheme was that the transmitter generated waves over a wide and indiscriminate range of frequencies, with a single receiver picking up and mixing up transmissions from every transmitter in line of sight. This problem was solved by fitting each transmitter with a "variable oscillator" -- an electronic circuit that generated electrical signals at different frequencies, as set by a knob turned by the transmitter operator. A receiver picked up this signal with its antenna, with the signal run through a "variable filter" -- an electric circuit consisting of an inductor coil and a variable capacitor that could be set by a knob to block out all frequencies except one. This scheme allowed multiple transmitters to operate in a given area without mutual interference. The transmitter operator set the transmitter oscillator to a given frequency or "channel", and then used a telegraph key to gate the oscillator output on and off into an amplifier circuit, which drove a high-power signal out the antenna. The receiver operator set the receiver filter to the same channel. The receiver picked up radio waves on all frequencies and amplified them. The amplified received signal was run through the variable filter, and then into a "detector" circuit to convert high-frequency signals into a direct-current signal to activate the relay switch. The detector included a "rectifier", a one-way valve for electricity that eliminated half the waveform, with this rectified signal then passed through a "low pass filter", consisting in the simplest case of a resistor and a capacitor that smoothed the received signals into pulses. In a simple "amplitude modulated" voice radio, the voice of a user is converted into an electrical waveform that controls or "modulates" the amplitudes or "envelope" of a variable oscillator signal. The modulated signal is then amplified and transmitted over an antenna. The oscillator frequency is known as the "carrier" frequency, since it "carries" the audio signal. A receiver picks up the signal with its antenna, using a variable filter to isolate the desired channel. The signal is then amplified and passed through a detector circuit to extract the original audio signal. The audio signal is amplified and driven to a loudspeaker. A radio channel is actually not a single frequency but range of frequencies. Although the details are beyond the scope of this post, the frequency range or "bandwidth" of a channel is roughly proportional to the amount of information carried by the channel. Transmitter output power is measured in watts, or (as far as radar is concerned) more usually kilowatts (kW, thousands of watts) and megawatts (MW, millions of watts). Receiver "sensitivity", or the ability of the receiver to amplify received signals, is determined in terms of "decibels" while the amplification factor is commonly referred to as "gain". A radio receiver, particularly one that is built into a vehicle and is moving around, may be picking up a transmitter signal that varies in strength. That means that the volume of the radio output will tend to fade or grow continuously, requiring the listener to keep adjusting the volume control. A circuit known as an "automatic gain control (AGC)" helps correct this problem by measuring the average received power of the signal and adjusting the receiver gain to ensure that it stays as constant as possible. A transmitter needs an antenna to send its radio signal, and a receiver needs an antenna to pick up that radio signal. The simplest form of antenna is the "dipole". Suppose the electrical output of an oscillator is directed down two conductors, not connected at the ends. This will radiate EM energy from the open-circuit ends. It radiates energy much more effectively if the conductors are bent at the ends to form a right angle, with each bend being a quarter-wavelength long relative to the oscillator output. This is a "half-wave" dipole. It is not only effective in generating radio waves at a particular frequency, it is also effective in picking them up. 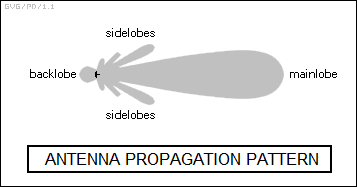 This is true in general of all antennas: they are "reciprocal", working much the same in transmission or reception, just in different directions. A single conductor can be used as well; this is the "monopole" antenna used in portable radio receivers and the like. By itself, a dipole or monopole antenna "broadcasts" in all radial directions evenly, or in other words it is an "omnidirectional" antenna. It could be turned into a "directional" antenna by placing it in the center of metal parabolic dish, with a small reflector above the dipole to bounce the signal back into the dish for transmission in one direction. This configuration is familiar from the modern satellite-TV receiver, though instead of a dipole radio energy is usually just dumped into the dish through an open "horn", either fed through the dish or under the bottom of the dish. It's really very much the same as using a parabolic mirror to focus light, only the wavelength of radio signals is longer. While parabolic dishes are usually circular, creating a focused "pencil" beam, elliptical or cylindrical dishes with parabolic curvature can also be used if the radio beam needs to be focused along one axis but not along the other, or in other words has a "fan" configuration. The beam width is normally defined by a "3 dB" law, with the boundary of the beam defined as the surface where the power of the beam at the center falls by 3 dB. Another simple way to create a "directional" antenna with a dipole is to mount it within a row of parallel conductive rods, with the rods of decreasing length to the "front" of the dipole (relative to the direction of focus) and of increasing length to the "back" of the dipole. This type of antenna is known as a "Yagi-Uda" or just "Yagi" antenna. Such antennas are referred to as "end-fire antennas", since they are directional along their long axis. Dipole antennas, in contrast, are directional at a right angle to their plane. A more sophisticated approach is to obtain a directed focus by using an antenna with multiple dipoles in a grid arrangement, with the focus obtained by interference effects. Such "dipole arrays" were common with early longwave radars. Arrays can be made with end-fire antennas as well, and very significantly as slotted plates, with radio energy fed through the slots. The slots act as dipoles, though while the polarization of a radio wave generated by a dipole is in line with the long axis of the dipole, it's at a right angle to the long axis of the slot. Slotted planar arrays are very popular these days, since shrewd slot arrangements allow them to be much more efficient than simple parabolic antennas, which will waste about two-thirds of the energy pumped into them. A well-designed slotted planar array will waste less than a third of the energy. Directional antennas are characterized by a factor known as "antenna gain". This is simply the ratio of the focused beam power to the same broadcast power sent through an omnidirectional antenna. For example, if the focused beam has 50 times the power of an omnidirectional antenna with the same transmitter power, the directional antenna has a gain of 50, or 17 dB. The larger the receiver dish, the greater the receiver sensitivity, since it creates a bigger "bucket" or "eye" to collect radio waves. However, the longer the wavelength, the bigger the dish has to be to focus the radio waves, and conversely the more focused the beam, the bigger the antenna. Another minor related fact is that the dish doesn't have to be solid. It can be a mesh, just as long as the mesh grid spacing is less than that of the radar operating wavelengths. This makes for a lighter antenna, and also one not so easily disturbed by the wind. Directional antennas don't always generate all their radio output in a nice neat directional beam. Interference between transmit signals may generate "sidelobes" that cause unwanted transmissions to the sides of the beam, or a "backlobe" in the reverse direction. The sidelobes and backlobe can rob the main lobe of energy and of course corrupt the directionality of the beam, generating and receiving signals in unwanted directions. Proper antenna design minimizes the power lost by sidelobes and backlobes. The best way to explain radar is to imagine standing on one side of a canyon, and shouting in the direction of the distant wall of the canyon. After a few moments, an echo will come back. The length of time it takes an echo to come back is directly related to how far away the distant canyon wall is. Double the distance, and the length of time doubles as well. Given that the speed of sound is about 1,200 Kph (745 Mph) at sea level, then timing the echo with a stopwatch will give the distance to the remote canyon wall. If it takes four seconds for the echo to come back, then since sound travels about 330 meters (1,080 feet) in a second, the distance is about 660 meters (2,160 feet). Radar uses exactly the same principle, but it times echoes of radio or microwave pulses and not sound. Like a wireless telegraphy set, a simple radar has a transmitter and a receiver, with the transmitter sending out pulses, short bursts, of EM radiation and the receiver picking them up. In the case of the radar, the receiver is picking up echoes from a distant target, with the echoes timed to determine the distance to the target. Early radars simply used an oscilloscope to perform the timing, with the detected return signal fed into the oscilloscope as a "video" signal, and showing up as a peak or "blip" on the display. An oscilloscope measures an electrical signal on an electronic beam that moves or "sweeps" from one side of a display to the other at a certain rate. The rate is determined by a "timebase" circuit in the oscilloscope. For example, the sweep rate might push the sweep from one side of the display to the other in a millisecond (thousandth of a second). If the display were marked into ten intervals, that would mean the sweep would pass through each interval in 0.1 milliseconds. While this would be shorter than the human eye could follow, the sweep is normally generated repeatedly, allowing the eye to see it. Since EM radiation propagates at 300,000,000 meters per second, or 300,000 meters per millisecond, then each 0.1 millisecond interval would correspond to 30,000 meters, or 30 kilometers (18.6 miles). If the sweep on the scope is "triggered" to start when the radar transmitter sends out the radio pulse, and the sweep displays a blip on the sixth interval on the display, then the pulse has traveled a total of 180 kilometers (112 miles). Since this is the round-trip distance for the pulse, that means that the target is 90 kilometers (56 miles) away. The trigger signal provides synchronization, so it can be regarded as a type of "synch" or "sync" signal. The sweep is called a "range sweep" and the output of the display is called a "range trace". The amplitude of the return also gives some indication of the size of the target, though the relation between return amplitude and target size is not straightforward, as discussed later. It would also be nice to know what the direction to the target is, in terms of its "altitude (vertical direction)" and "azimuth (left to right direction)". This is a bit trickier to describe, but no more complicated in the end. Some early radars, like the famous British "Chain Home" sets that helped win the Battle of Britain, simply transmitted radio waves from high towers in a flood over their field of view, and used a directional receiver antenna to determine the direction of the echo. Chain Home actually used a scheme where the power of the echo was compared at separated receiver antennas to give the direction, which astoundingly actually worked reasonably well. Other such "floodlight" radars used directional receiver antennas that could be steered to identify the direction of the echo. Incidentally, a radar that uses receive and transmit antennas sited in different locations is known as a "bistatic", or in the more general case "multistatic", radar. Floodlight radars were quickly abandoned. They spread their radio energy over a wide area, meaning that any echo was faint and so range was limited. The next step was to make a radar with a steerable transmitter antenna. For example, two directional antennas, one for the transmitter and the other for the receiver, could be ganged together on a steerable mount and pointed like a searchlight, an arrangement that is sometimes called "quasi-monostatic". The transmitter antenna generated a narrow beam, and if the beam hit a target, an echo would be picked up by the receiving antenna on the same mount. The direction of the antennas naturally gave the direction to the target, at least to an accuracy limited by the width in degrees of the beam, while the distance to the target was given by the trace on the A-scope. Of course, it was realized early on that it would be more economical and less physically cumbersome to use one antenna for both transmit and receive instead of separate antennas; it was possible to do so in theory because a radar transmits a pulse and then waits for an echo, meaning it doesn't transmit and receive at the same time. The problem in practice was that the receiver was designed to listen for a faint echo, while the transmitter was designed to send out a powerful pulse. If the receiver was directly linked to the transmitter when a pulse was sent out, the transmit pulse would fry the receiver. The solution to this problem was the "duplexer", a circuit element that protected the receiver, effectively becoming an open connection while the transmit pulse was being sent, and then closing again immediately afterward so that the receiver could pick up the echo. This was done with certain types of gas-filled tubes, with the output pulse ionizing the gas and making the tube nonconductive, and the tube recovering quickly after the end of the pulse. More sophisticated duplexer schemes would be developed later. The receiver was also generally fitted with a "limiter" circuit that blocked out any signals above a certain power level. This prevented, say, transmissions from another nearby radar from destroying the receiver. After this evolution of steps, the result is a simple, workable radar. It has a single, steerable antenna that can be pointed like a searchlight. The antenna repeatedly sends out a radio pulse and picks up any echoes reflected from a target. An A-scope display gives the interval from the time the pulse is sent out and the time the echo is received, allowing the operator to determine the distance to the target. The transmitter emits pulses on a regular interval, typically a few dozen or a few hundred times a second, with the A scope trace triggered each time the transmitter sends out a pulse to display the receiver output. The number of pulses sent out each second is known as the "pulse repetition rate" or more generally as the "pulse repetition frequency (PRF)", measured in hertz. The width of a radar pulse is an important but tricky consideration. The longer the pulse, the more energy sent out, improving sensitivity and increasing range. Unfortunately, the longer the pulse, the harder it is to precisely estimate range. For example, a pulse that last 2 microseconds is 600 meters (2,000 feet) long, and in that case there is no real way to determine the range to an accuracy of better than 600 meters, and there is also no way to track a target that is closer than 600 meters. In addition, a long pulse makes it hard to pick out two targets that are close together, since they show up as a single echo. PRF is another tricky consideration. The higher the PRF, the more energy is pumped out, again improving sensitivity and range. 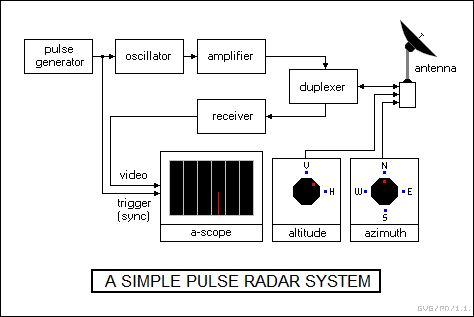 The problem is that with a simple radar it makes no sense to send out pulses at a rate faster than echoes come back, since if the radar sends a pulse and then gets back an echo from an earlier pulse, the operator is likely to be confused by the "ghost echo". This is usually not too much of a problem, since a little quick calculation shows that even a PRF of 1,000 gives enough time to get an echo back from 150 kilometers (95 miles) away before the next pulse goes out. However, as mentioned propagation of radar waves can be freakishly affected by atmospheric conditions that create ducting or other unusual phenomena, and sometimes radars can get back echoes from well beyond their design range. This can be confusing, because a pulse will be sent out and a return will be received very quickly, indicating that the target is close. In reality, the target is distant and the return is from the previous pulse. This is called a "second time around" return. Given a PRF of 1,000, then a target 210 kilometers (130 miles) away will appear to be only 60 kilometers (37 miles) away. Similar confusions could be caused by returns that arrive from long ranges after more than one additional pulse, resulting in "multiple time around" returns. Of course, a simple pulse radar also has "blind ranges" or "blind zones": if our example radar is trying to spot a target exactly 150, 300, or 450 kilometers away, the return will arrive when the next pulse is being sent out and the radar will never spot it. To deal with such "range ambiguities", radars were designed so they could be switched between different PRFs. Switching from one PRF to another would not affect a "first time around" echo, since the delay from pulse output to pulse reception would remain the same, but the switch would make a ghost return from a current pulse jump on the display. Suppose our radar could be switched from a PRF of 1,000 Hz to 1,250 Hz, and is trying to track a target 210 kilometers away. At 1,000 Hz, the maximum range is 150 kilometers and the target appears to be 60 kilometers away, but at 1,250 Hz the maximum range is 120 kilometers (75 miles) and the target return jumps to a perceived range of 90 kilometers (56 miles). The fact that the target range jumps when PRF is changed reveals the range ambiguity; adding perceived range to the maximum range for each PRF setting gives the actual range. •	Electrical noise. This is a function of environmental noise, which tends to be unpredictable, and the noise inherent in the electronic systems of the receiver. A radar pulse echo return must be above the noise threshold for a target to be detected. •	Transmitter power. As mentioned, this is a function of pulse power and PRF, as well as antenna gain. •	Receiver gain. This is a function of the receiver antenna gain and the sensitivity of the receiver electronics. •	Attenuation due to range. The power of a radar beam will fall off with the square of distance. Since the radar must pick up the return echo of the transmit pulse, which also falls off by the square of distance, that means that the strength of a return pulse falls off by the fourth power of the distance to the target. •	Target "radar cross section (RCS)". The RCS of a target is effectively its reflectivity to radar. RCS varies with the material being illuminated, for example metal surfaces tend to be more reflective than plastic surfaces, and with the physical configuration of the surfaces. A smooth surface tends to be less reflective than a jagged rough surface. The RCS of a target tends to be highly variable, depending on the viewing angle of the target. An aircraft that is very bright to radar from one angle may be almost invisible from another, and its radar return may change drastically as it flies around. •	Atmospheric attenuation. This is the trickiest of all the factors to estimate, since it can vary wildly given different atmospheric conditions. It is usually just given as a flat constant, since it is hard to do much better in practice. There are many variations of this equation, usually providing greater detail or modified to demonstrate the capabilities of different radar configurations. The basic idea is simple: the capability of a radar to detect a target is directly proportional to its transmit power, its receiver gain, and the RCS of a target; and inversely proportional to the atmospheric attenuation and the fourth power of the range. The sort of simple pulse radar system described above was more or less what was available at the beginning of World War II, and was used on ground sites and on ships. WW2 led to improved radar technologies and an explosion of radar applications and types. One of the early improvements was to build a radar that could automatically sweep around the sky to search for intruders. The early floodlight systems could cover a wide sector of the sky, but as mentioned they were inefficient. A simple steerable radar with an A-scope display was more efficient, but it had to be manually steered to find a target. Building an improved radar that could be swept around 360 degrees was a bit tricky, since it implied that the electrical connection between the antenna system and its associated electronics had to freely rotate, and designing reliable "rotary couplers" was troublesome. It also implied a different type of display, the "plan position indicator (PPI)", also known as the "polar plot indicator". The PPI is a circular display, with a sweep rotating around the center in sync with the transmitter antenna, and the return for a particular angle displayed along the display sweep. As the sweep rotates around the center of the display, it paints an image of what the radar "sees" all around it. The display uses has a "long-persistence phosphor" that allows the image to linger after the sweep has passed, fading away just before the sweep comes around to refresh the image. A PPI display can be thought of as something like an A-scope being spun around in a circle, with a single A-scope trace on each radius of the circle. The PPI is the popular concept of a radar display, commonly seen in TV shows in which a mysterious or dangerous intruder is moving closer to the center of the display, where the heroes are, with every sweep. (In some shows, they use a PPI even when the radar doesn't have a rotating antenna.) In the early days, the radar did little processing on the return echoes, and so it was up to the operator staring at the PPI to figure out what the display actually said. It wasn't necessarily the case that there was a simple bright blip where the intruder was; there would often be sources of "clutter" in the radar sweep, such as flights of birds, swarms of insects, and other obstructions to the radar beam. Incidentally, the time it takes for the antenna to rotate 360 degrees and for the sweep to correspondingly move all the way around the display is referred to as the "update rate". One of the classic examples of such a radar was the US Navy "SG" shipboard radar, which was a 3 GHz / 10 centimeter system with a horizontal parabolic antenna. It could provide a "map" of threats and obstacles around a vessel on its PPI display. One of the issues, if not necessarily a problem, with the "search radar" scheme described above is that it gives the range and azimuth to the target, but not its altitude -- it is a "two-dimensional" or "2D" radar. That was okay if the search radar was being used by a ship or a coastal site to track other ships, since their altitude was of course at sea level, but not so good if the search radar was tracking aircraft. The search radar didn't really need to determine altitude by itself. Its major function was just to provide a warning, and to do that it was best designed to generate a long-range beam in a "fan" configuration that was very tall and thin, with the radar essentially throwing out a cylindrical "wall" of radio waves with each sweep, through which intruders must pass. Once an intruder was located, a separate, steerable "height-finder" radar could be pointed in the direction given by the search radar to determine the intruder's altitude. The height-finder radar generated a beam that was very short but wide, exactly the opposite of the search radar. The two radars effectively formed "crosshairs" that pinned down the precise coordinates of the target. Height finders were often designed to "nod" up and down to search for a target. The US Navy "Mark 22" or "Lil' Abner" radar was a classic example of such a height-finding radar, with a vertical antenna like a peel of a slice of an orange and nodding operation. Of course, over the long run improvements in radar technology allowed development of a single radar that could determine both the azimuth and altitude of an intruder. Such a radar is of course known as a "three-dimensional" or "3D" radar. The search radar / height finder radar combination was fine for vectoring fighters against intruders, but antiaircraft guns needed a single radar that could zero precisely in on a target and track it. As mentioned earlier, a radar's accuracy is a function of the angular width of its beam. A radar beam can be thought of as something like a radar "spotlight", with a very narrow spotlight beam able to more precisely pin down the direction of a distant target than a broad one. There was a way to get accuracy much better than the actual width of the beam. Radar antennas typically emit electromagnetic radiation in the form of a teardrop-shaped "lobe", tapered at the sides and broad at the tip. Trying to pin down a target in a single broad lobe is troublesome -- but suppose the radar transmitter actually has two antennas, toed out slightly relative to their mutual centerline, and the transmitter alternates sending pulses, sending a pulse with one and then the other consecutively. The radar operator can then steer this antenna array until the alternating returns are the same size, meaning the target is on the centerline. Since the edges of the lobes are relatively sharp, this allows relatively precise location of the target. The error signals provided by the difference in the two lobes can be used to control servo motors that guide the radar along the track of the target automatically: if the signal is stronger in one lobe than the other, the antenna is steered in the direction of the stronger lobe until the two signals balance. This scheme is known as "lobe switching" or just "lobing" and it is a form of what is called "angle tracking". Some early anti-aircraft radars used horizontal and vertical lobe switching to target intruders. A good example was the US "SCR-268" anti-aircraft radar, which was developed alongside the SCR-270 search radar mentioned and which shared some of the same technology. The SCR-268 operated at 100 MHz / 1.5 meters. It was somewhat clumsy-looking, featuring a transmit antenna, a vertical lobing receiver antenna, and a horizontal lobing receiver antenna, all mounted together on a single gun-type mount. The transmit antenna was in the form of a 4 x 4 array of dipoles; the vertical receiver antenna was a 2 x 6 rectangular array of dipoles, mounted with its long axis vertical on the right; and horizontal receiver antenna was a 6-by-4 array of dipoles, mounted with its short axis vertical on the left. The SCR-268 had a beam width of 2 degrees in both the horizontal and vertical directions, and a maximum range of 36 kilometers (23 miles). As awkward as it looked, the SCR-268 was actually a fairly good piece of gear by the standards of the time, and would remain in first-line service for gun laying and searchlight direction late into the war, its retirement mostly being driven by the fact that the Germans figured out how to jam it. Some shipboard radars used to direct naval guns for firing on surface targets got by with only horizontal lobe switching. Anti-aircraft radars were then refined to a more sophisticated scheme for lobe switching, known as "conical scanning". This involved a parabolic dish antenna with a radio "feed" element that was slightly offset from the centerline. The feed element was rotated at a low rate to generate pulses slightly skewed from the centerline, with the dish steered until the returns were all equal. Some of these radars also had "helical scanning", which sounds the same but was actually something different, meaning that the entire radar dish spun around in a helical pattern while it was searching for a target, something like the way a height-finder radar nodded up and down. Once the targeting radar found a target, it stopped helical scanning and used conical scanning to pin down its precise location. Originally, anti-aircraft targeting radars simply gave aim points for anti-aircraft guns. The scheme was quickly improved so that the error signals from the tracking radar not only steered the radar antenna, they steered the gun automatically as well. Since the gun had to "lead" the target to score a hit, it couldn't point in exactly the same direction as the radar antenna, with an analog computer in the loop calculating the proper lead for the gun. The result was an improvement in lethality by an order of magnitude or more. The classic example of such a gun-laying radar was the US "SCR-584", which was a microwave set with a circular parabolic dish using helical and conical scanning. It was linked to a heavy antiaircraft gun through an analog computer system. The technology has been considerably refined since WW2, one of the prominent examples being the well-known and highly effective Soviet-Russian ZSU-23-4 "Shilka" tracked antiaircraft vehicle, with quadruple 23 millimeter automatic cannon in a turret mount, guided with speed and accuracy by an automatic radar fire-control system. If fighters were sent up against intruders in daylight and clear weather, ground-based radars could generally get them close enough to perform an interception by eyeball. However, there was little chance of finding an intruder visually at night or in bad weather, and so night fighters carried their own radars, allowing them to target intruders after being vectored to their vicinity by ground search radars. Night fighter or "airborne intercept (AI)" radar had limited maximum range -- and early sets had long pulse widths, giving the radars a long minimum range, meaning they had to be near a target to find it with radar and then could easily lose it while trying to close in on it. Another problem with these early night fighter radars was that they operated at long wavelengths, making them difficult to focus into a narrow beam. The problem with such a wide beam was not really limited angular accuracy; night fighter radars used lobe switching and conical scanning to obtain useful targeting precision with relatively long wavelengths, obtaining enough accuracy to find a target even with a wide beam. The major difficulty with all early pulse radars was that they had no "discrimination". If the radar pulse hit something, anything, the echo came back and showed up on the display. That meant that if a hostile aircraft was low to the ground, reflections from the terrain or "ground clutter" kept it invisible to radar. A wide beam meant that ground clutter remained a problem at relatively high altitudes, lost in the noise; the need to produce an AI with a narrow beam with an antenna that could be carried in a night fighter was one of the drivers of microwave radar. The classic AI radar was the US "SCR-720", a 3 GHz / 10 centimeter set used in the Northrop P-61 Black Widow night fighter. The US SCR-720 remained in first-line service into the early 1950s in improved versions. Work on radars that could be carried by patrol aircraft to hunt for ships and submarines in the dark and bad weather went on in parallel with the development of AI radars. Such "air to surface vessel (ASV)" radars were useful because a ship target was big enough to be picked out of the clutter returned from the surface of the water, though unsurprisingly the clutter got worse when the weather was worse and the waves were higher. Microwave radars were also useful for ASV, since their higher resolution allowed them to better pick out targets. Systems were developed that linked into the ASV radar to automatically release bombs during low-level attacks on shipping. Following the development of ASV radars, other radars were developed for targeting air strikes against cities and other area targets on land. These were very crude bombing aids, since they really couldn't do much more than distinguish between dry ground and bodies of water, and only worked well when the target could be identified by lakes or the confluence of rivers. 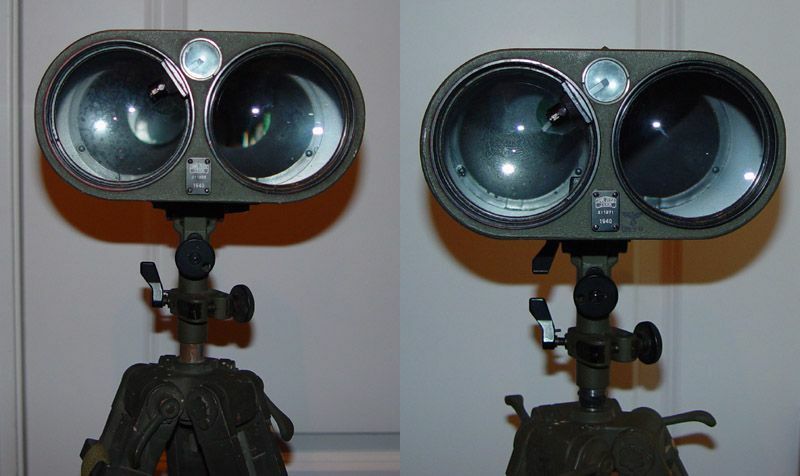 Once again, microwave radars were preferred since they gave a higher resolution image. Such bombing radars used a PPI display to give a map of the terrain below. The radar had to compensate for the fact that radar echo returns farther away from the center of the display were fainter, distorting the radar "image", and so the receiver sensitivity was adjusted to be greater at greater angles. This is known as "cosecant-squared" operation, since that's the mathematical function used to determine the gain function. It was actually implemented by modifying the antenna to provide the cosecant-squared pattern, with the antenna designed with different inner and outer curvatures. The cosecant-squared configuration was also used in naval search radars, to allow the radar to pick up targets at higher altitudes while avoiding pickup of sea-surface clutter. Late in WW2, the first "airborne early warning (AEW)" radar systems were built. Since a search radar was blocked by the horizon and suffered from surface clutter reflections, the idea was to put a radar in an aircraft that could fly at a high altitude to give it a wide view and greater freedom from ground clutter. The radar itself was less of a challenge than the issues of relaying the radar information to the ground station or aircraft carrier that was operating under the AEW "umbrella". The grandfather of AEW radars was the US "AN/APS-20" radar, which was initially deployed at the end of WW2 on a modified Grumman Avenger torpedo bomber with a bulging radome under the belly. The AN/APS-20 would actually remain in service, with improvements, into the Vietnam War era and, to a lingering extent, well beyond. Its best-known platform was the RC-121 Warning Star, a military modification of the Lockheed Super Constellation four engine piston airliner, with the AN/APS-20 in a belly radome and a height-finder radar in a dorsal radome. The invention of radar to track aircraft immediately led to the issue of how to distinguish "friendly" aircraft from "hostile" aircraft. If an aircraft was just a blip on a PPI scope, there was no telling from that information if it was an enemy that had to be destroyed before it was too late, or if it was an "friendly" who got lost and was now in great danger from his own side. The answer was to create a scheme, known as "identification friend or foe (IFF)" that allowed electronic identification of a target. A radar site or a fighter could have a radio system known as an "IFF interrogator" that sent a specific signal to an aircraft. The aircraft would, in turn, have a radio system called an "IFF transponder" that picked up the interrogator signal and gave a proper coded response to identify itself as friendly. Incidentally, IFF was also used on ships. IFF is a tricky issue, since an enemy can not only use IFF to impersonate a friend, but can also trick friendly aircraft or ships into giving away their presence by interrogating IFF. This is the IFF challenge: protecting one's own IFF while trying to compromise the enemy's. Early IFF systems were actually interrogated directly by radars, but as radars evolved into a wide range of different types, that meant that an IFF transponder had to be able to respond to all the different types of radars. That not only made the IFF transponder complicated, it made it easier for an adversary to compromise the IFF system. The solution was to develop specialized interrogator systems designed to be used as an accessory on a radar, with an IFF antenna "piggybacking" in some way on the radar antenna. This scheme was embodied in the British "Mark III" IFF transponder, which became an Allied standard during the war. The idea of having a transponder that replied to specific radar signals was a dead end for IFF but had its uses elsewhere, leading to the parallel development of "radar beacons". These beacons were just transponders that could be used to mark an airfield, or could be carried by advance parties to mark paratrooper landing zones or amphibious landing beaches. The same approach could be used to give the distance to a fixed station. The idea is conceptually very simple: an interrogator sends a radio pulse to a transponder, which then replies, and the round-trip time is determined to give the range between interrogator and transponder. The approach is very similar to radar, and in fact such a radar beacon scheme is often called a "secondary radar". The British developed a precision bombing system based on secondary radars named "Gee-H" that permitted highly accurate "blind bombing", at least for aircraft with a line of sight to a fixed base station in friendly territory. As noted above, radar beacons were often used to mark drop zones and landing beaches. The advantage of a radar beacon was that it did not advertise its presence to the enemy, only "speaking when spoken to." There were times when that wasn't really a concern, for example to mark rocks that were to be avoided by a landing force, and a cheaper marker could be used, called a "corner reflector" or more formally a "radar signature enhancement device". This was just some panels of metal joined together in a kite-like configuration to create nice sharp corners that could reflect radio waves. 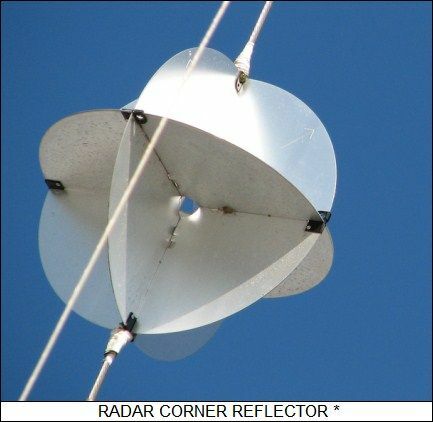 Radar Reflector: The problem with this type of corner reflector was that it was somewhat bulky and inconvenient. Simple continuous wave detectors and radars were discussed above. During the war, "proximity fuzes" were developed for anti-aircraft gun shells, allowing the shells to be triggered when they passed within a lethal radius of a target. 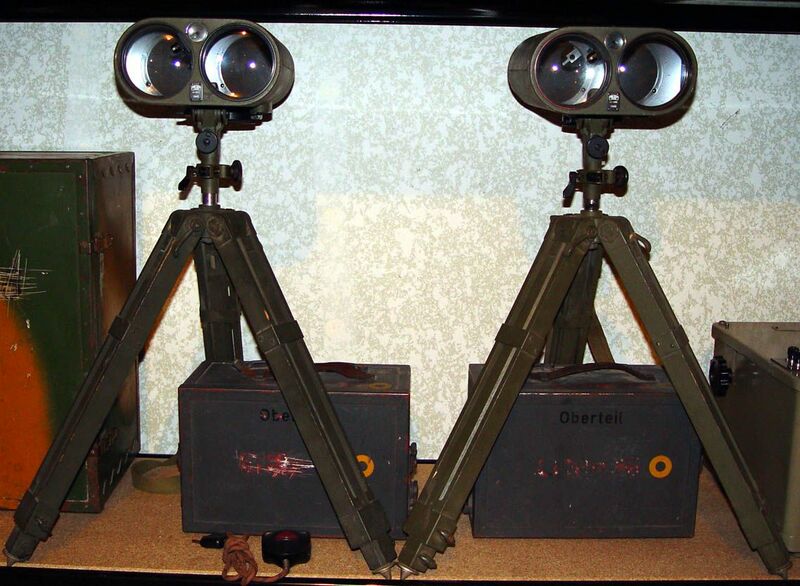 Coupled with radar-guided automatic tracking, the proximity fuze helped boost the lethality of antiaircraft guns by a large factor. Such fuzes could be thought of as CW radars, but that's stretching the definition of the term "radar": they simply generated a continuous radio signal and at close ranges, the "near field", the presence of a target would "load down" the oscillator generating the signal and changing its frequency of oscillation, which triggered the fuze. The term "proximity detector" seems more suitable. Anyhow, for what it’s worth, that’s the basics covered for the WW2 period and slightly beyond. With that in mind, we will next now take a quick look at the state of Radar world-wide in 1938 and 1939 (the period over which Eric Tigerstedt and the Nokia R&D Team worked to develop Finland’s early Radar Detection System. As has been mentioned, over the 1934-1939 period, nine countries independently developed Radar systems – these countries were the the United States, Great Britain, Germany, the USSR, Japan, the Netherlands, France, Italy and of course, Finland. In addition, Great Britain had shared their basic information with four Commonwealth countries: Australia, Canada, New Zealand, and South Africa, and these countries each developed indigenous radar systems. Also, keep in mind that Radar itself was NOT an advance in science and scientific theory – the theory had largely been known since the days of Maxwell and Hertz prior to 1900. Radar was rather simply a matter of technology and practical engineering – and this was something in which Finland was beginning to excel by the late 1930’s. We’ll now take a broad look at Radar in France, the Netherlands, Japan, Italy and the USSR before looking at Germany, Britain and the USA in somewhat more detail. Following that, we will move on to Finland where we will cover the Nokia Radio-Detection Project and it’s Operational introduction and early use. In 1927, French physicists Camille Gutton and Emile Pierret experimented with magnetrons and other devices generating wavelengths going down to 16 cm. Camille's son, Henri Gutton, was with the Compagnie Générale de Télégraphie Sans Fil (CSF) where he and Robert Warneck improved his father's magnetrons. The CSF was intending to build radio-detection systems "conceived according to the principles stated by Tesla." In 1934 the CSF, headed by Maurice Ponte submitted a patent application for a device for detecting obstacles using continuous radiation on ultra-short wavelengths produced by a magnetron. These were still CW systems and depended on Doppler interference for detection .However antennas were collocated. The device was measuring distance and azimuth but not directly as in the later "radar" on a screen (1939), but it was the first patent for an operational radio-detection apparatus using centimetric wavelengths. The system was tested in late 1934 aboard the cargo ship Oregon, with two transmitters working at 80 cm and 16 cm wavelengths. Coastlines and boats were detected from a range of 10-12 nautical miles. The shortest wavelength was chosen for the final design, which equipped the liner SS Normandie as early as mid-1935 for operational use. 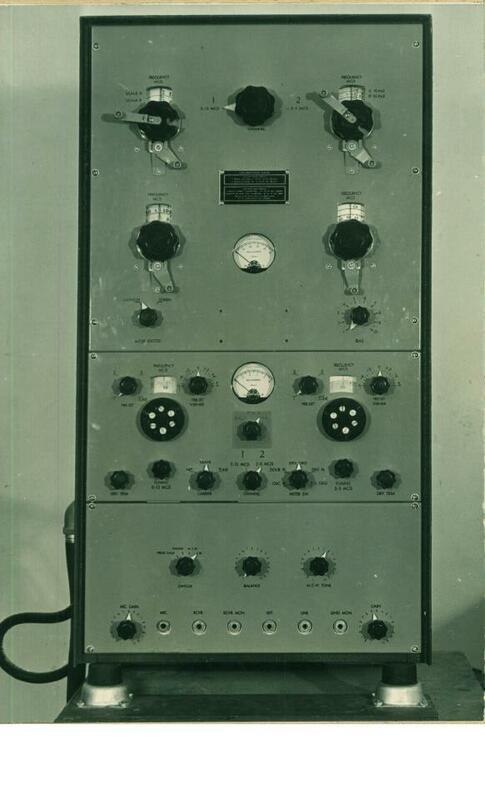 In late 1937, Maurice Elie at SFR developed a means of pulse-modulating transmitter tubes. This led to a new 16-cm system with a peak power near 500 W and a pulse width of 6 μs (French and U.S. patents for this were filed in December 1939). The system was planned to be sea-tested aboard the Normandie, but this was cancelled at the outbreak of war. Pierre David at the Laboratori National de Radioelectricite (National Laboratory of Radioelectricity, LNR) experimented with reflected radio signals at about a meter wavelength. Starting in 1931, he observed that aircraft caused interference to the signals. The LNR then initiated research on a detection technique called barrage électromagnétique (electromagnetic curtain). While this could indicate the general location of penetration, precise determination of direction and speed was not possible. In 1936, the Défense Aérienne de Territoire (Defence of Air Territory) ran tests on David’s electromagnetic curtain. In the tests, the system detected most of the entering aircraft, but many were missed. As war threatened, the need for aircraft detection was seen as critical. David realized the advantages of a pulsed system, and in October 1938 he designed a 50 MHz, pulse-modulated system with a peak-pulse power of 12 kW. This was built by the firm SADIR. After France declared war on Germany on September 1, 1939, the SADIR system was taken to near Toulon, and detected and measured the range of invading aircraft as far as 55 km (34 mi). According to some sources, a chain of SADIR systems protected naval bases along the English Channel, the Atlantic Ocean, and the Mediterranean and a limited number of early-warning pulse radar equipments were manufactured in 1939 by commercial companies. The SFR pulsed system was also set up near Paris where it detected aircraft at ranges up to 130 km (81 mi). To further improve the SFR system, Henri Gutton and Warnecke developed a 500-cm (600-MHz) magnetron with an oxide-coated cathode that produced 500 W.
1938 Henri Gutton magnetron: To further improve the SFR system, Henri Gutton and Robert Warneck developed in 1938 a 500cm (600MHz) magnetron with an oxide-coated cathode that produced 500 W. In May 1940, just before the Germans arrived, several of the new magnetrons were taken to Britain where their oxide-coated cathods were used to improve the performance of the Boots and Randall magnetron. French designs thus contributed to the British war effort after the occupation of France by the Germans. However, with the fall of France in 1940, French radar development ceased until after WW2. Guglielmo Marconi initiated research in Italy on radio-based detection technology. In 1933, while participating in experiments with a 600 MHz communications link across Rome, he noted transmission disturbances caused by moving objects adjacent to its path. This led to the development at his laboratory at Cornegliano of a 330-MHz (0.91-m) CW Doppler detection system that he called radioecometro. Barkhausen-Kurz tubes were used in both the transmitter and receiver. In May 1935, Marconi demonstrated his system to the Benito Mussolini and members of the military General Staff. While Marconi’s demonstration raised considerable interest, little more was done with his apparatus until Mussolini directed that radio-based detection technology be further developed. Research was assigned to the Regio Instituto Electrotecnico e delle Comunicazioni (RIEC, Royal Institute for Electro-technics and Communications). The RIEC had been established in 1916 on the campus of the Italian Naval Academy in Livorno. Lieutenant Ugo Tiberio, a physics and radio-technology instructor at the Academy, was assigned to head the project on a part-time basis. Tiberio prepared a report on developing an experimental apparatus that he called telemetro radiofonico del rivelatore (RDT, Radio-Detector Telemetry). Nello Carrara, a civilian physics instructor who had been doing research at the RIEC in microwaves was added the the team responsible for developing the RDT transmitter. Before the end of 1936, Tiberio and Carrara had demonstrated the EC-1, the first Italian RDT system. This had an FM transmitter operating at 200 MHz (1.5 m) with a single parabolic cylinder antenna. It detected by mixing the transmitted and the Doppler-shifted reflected signals, resulting in an audible tone. The EC-1 did not provide a range measurement; to add this capability, development of a pulsed system was initiated in 1937. Captain Alfeo Brandimarte joined the group and designed the first pulsed system, the EC-2. This operated at 175 MHz (1.7 m) and used a single antenna made with a number of equi-phased dipoles. The detected signal was intended to be displayed on an oscilloscope. There were many problems, and the system never reached the testing stage. Work then turned to developing higher power and operating frequencies. Carrara, in cooperation with the firm FIVRE, developed a magnetron-like device. This was composed of a pair of triodes connected to a resonating cavity and produced 10 kW at 425 MHz (70 cm). This was designated the EC-3 and two versions were designed, one for shipboard and the other for coastal defense. Italy entered WWII without an operational RDT and at this stage most RDT work was stopped as direct support for the war took priority. However, issues with the EC3 were eventually resolved and in 1941 it went into production, with more than 100 naval radar sets in service at the time of the armistice in September 1943. 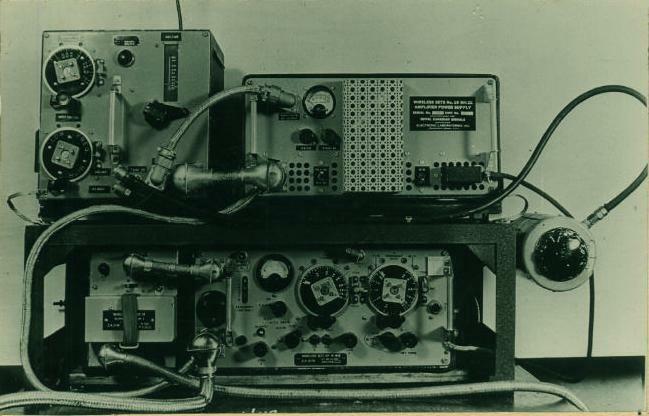 Early radio-based detection in the Netherlands were along two independent lines: one a microwave-based system at the firm of Philips (one of the largest electronics companies in the world) and the other a VHF system at a laboratory of the Armed Forces. The Philips Company in Eindhoven operated Natuurkundig Laboratorium (NatLab) for fundamental research related to its products. NatLab researcher Klass Posthumus developed a magnetron split into four elements. In developing a communication system using this magnetron, C.H.J.A. Stall was testing the transmission by using parabolic transmitting and receiving antennas set side-by-side, both aimed at a large plate some distance away. To overcome frequency instability of the magnetron, pulse modulation was used. It was found that the plate reflected a strong signal. Recognizing the potential importance of this as a detection device, NatLab arranged a demonstration for the Koninklijke Marine (Royal Netherlands Navy). This was conducted in 1937 across the entrance to the main naval port at Marsdiep. Reflections from sea waves obscured the return from the target ship, but the Navy was sufficiently impressed to fund the research. In 1939, an improved set was demonstrated at Wijk aan Zee, detecting a vessel at a distance of 3.2 km (2.0 mi). A prototype system was built by Philips, and plans were started by the firm Nederlandse Seintoestellen Fabriek (a Philips subsidiary) for building a chain of warning stations to protect ports. Some field testing of the prototype was conducted, but the project was discontinued when Germany invaded the Netherlands on May 10, 1940. Within the NatLab, however, the work was continued in great secrecy until 1942. During the early 1930s, there were widespread rumours of a “death ray” being developed. The Dutch Parliament set up a Committee for the Applications of Physics in Weaponry under G.J. Elias to examine this potential, but the Committee quickly discounted death rays. The Committee did, however, establish the Laboratorium voor Fysieke Ontwikkeling (LFO, Laboratory for Physical Development), dedicated to supporting the Netherlands Armed Forces. Operating in great secrecy, the LFO opened a facility called the Meetgebouw (Measurements Building) located on the Plain of Waalsdorp. In 1934, J.L.W.C. von Weiler joined the LFO and, with S.G. Gratama, began research on a 1.25-m (240-MHz) communication system to be used in artillery spotting. In 1937, while tests were being conducted on this system, a passing flock of birds disturbed the signal. Realizing that this might be a potential method for detecting aircraft, the Minister of War ordered continuation of the experiments. Weiler and Gratama set about developing a system for directing searchlights and aiming anti-aircraft guns. The experimental “electrical listening device” operated at 70 cm (430 MHz) and used pulsed transmission at an RPF of 10 kHz. A transmit-receive blocking circuit was developed to allow a common antenna. The received signal was displayed on a CR tube with a circular time base. This set was demonstrated to the Army in April 1938 and detected an aircraft at a range of 18 km (11 mi). The set was rejected, however, because it could not withstand the harsh environment of Army combat conditions. The Navy was more receptive. Funding was provided for final development, and Max Staal was added to the team. To maintain secrecy, they divided the development into parts. The transmitter was built at the Delft Technical College and the receiver at the University of Leiden. Ten sets would be assembled under the personal supervision of J.J.A. Schagen van Leeuwen, head of the firm Hazemeijer Fabriek van Signaalapparaten. The prototype had a peak-power of 1 kW, and used a pulse length of 2 to 3 μs with a 10- to 20 kHz PRF. The receiver was a super-heterodyne type using Acorn tubes and a 6 MHz IF stage. The antenna consisted of 4 rows of 16 half-wave dipoles backed by a 3- by 3-meter mesh screen. The operator used a bicycle-type drive to rotate the antenna, and the elevation could be changed using a hand crank. Several sets were completed, and one was put into operation on the Malievelt in The Hague just before the Netherlands fell to Germany in May 1940. The set worked well, spotting enemy aircraft during the first days of fighting. To prevent capture, operating units and plans for the system were destroyed. Von Weiler and Max Staal fled to England aboard one of the last ships able to leave, carrying two disassembled sets with them. Later, Gratama and van Leeuwen also escaped to England. By the early 1930s screen grid and pentode valves were available for RF amplification for frequencies up to about 30 MHz, which was adequate for both broadcast and commercial purposes at the time, when radio usage had not extended into the UHF band. At frequencies above 30 MHz the gain available from valves fell very sharply; there were two principal problems: the first was caused by the inductance and capacitance of the internal leads that connected the valve electrodes to the terminating pins; the second was due to the finite transit time that the electrons took to travel between the valve electrodes. The first problem arose through the valve design and manufacturing techniques which had evolved from those used in the electric lamp industry. One particular constructional feature of the valve, copied directly from the lamp industry, was the use of an internal glass stem and pinch that held the support wires to the electrode assembly, and also provided a vacuum seal for the lead-out wires. The problem that arose from this method of construction was that the total length of the connections from the electrodes to their terminating pins was quite long, resulting in significant self-inductance of the wires as well as excessive self-capacitance between them. At frequencies below 30 MHz, these parasitic inductive and capacitive components did not seriously affect the performance of the valve, but their effects became increasingly more serious at frequencies above this. The second problem, the finite transit time for the electrons to move between the electrodes, was very serious for valve circuits operating at frequencies above 30 MHz. For a typical RF valve of conventional construction, the transit time for the electrons to move between the cathode and control grid was about 1ns. At frequencies of a few MHz, this transit time was insignificant compared with the time for one cycle of the signal frequency. At 100 MHz, however, the time was about 10% of one cycle and this was very significant. The phase lag caused by this time delay resulted in a low input resistance at high frequencies, which significantly reduced the amplification available. The problem was one of the invariance of the speed of light (or electricity) and, as with the later development of computers, it was therefore necessary to get smaller to go faster. 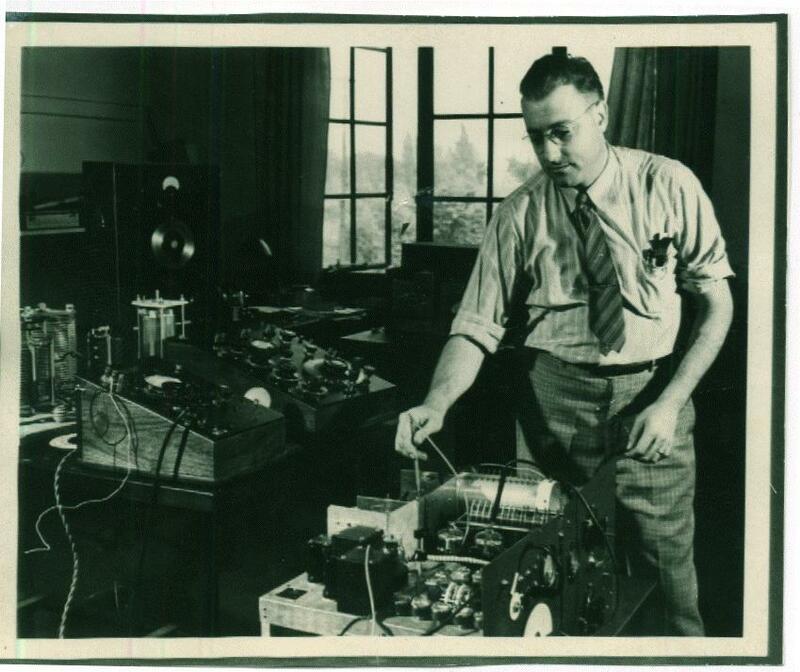 A great deal of experimental research work was carried out at the RCA laboratories during the early 1930s to investigate the behaviour of radio frequency amplifier valves, where it was found that improved circuit performance could be achieved if the valve dimensions were reduced. With a linear reduction, the mutual conductance and other valve parameters remained almost unchanged, but the lead inductance, interelectrode capacitance and electron transit time all fell in direct proportion to the reduction of dimensions. The tiny Acorn valves that resulted from this work were capable of providing amplification at frequencies up to about 400 MHz. The first of these valves to go into production was the type 955 triode which was introduced in 1934. This was followed by the 954 pentode in 1935, and by the type 956 in 1936. They all had indirectly heated cathodes, operating at 6.3 V, 0.15 A. The diameter of the heater-cathode assembly was comparable with that of a common household pin and the overall length was less than one half of conventional valves. The capacitance between the control grid and the anode for both the triode and the pentode was again about half that of conventional valves, and all other internal capacitances were also significantly reduced. Before long, acorn valves based on the RCA design, were introduced in Britain by Mazda, Marconi-Osram and Mullard. Initally, all the British acorn valves had 4 V heaters, but 6.3 V versions were introduced in 1940. Mullard was, however, wholly owned by the Netherlands Philips Company, and all the valve R&D work was carried out at the Philips Eindhoven plant. Suitably robust valves for radar equipment were being developed for the Netherlands government, and the UK government approached the Dutch government to supply samples. The valve in question was the EF50, capable of providing wideband UHF amplification, and at that time all the valves were being manufactured in Holland. With the outbreak of war it was realized that the supply of EF50 valves would dry up and Mullard itself did not have the capability of manufacturing the special glass base with sealed-in pins. Consequently, just before Germany invaded Holland, a lorry was sent from Holland to Britain with one million of these glass bases. Later, huge numbers of the valves were manufactured by Sylvania in the USA.